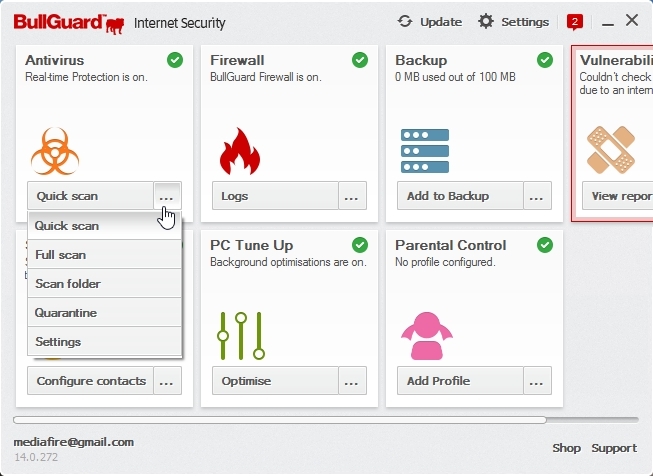 BullGuard Internet Security 2014 is UK based security product which uses bitdefender antivirus engine. 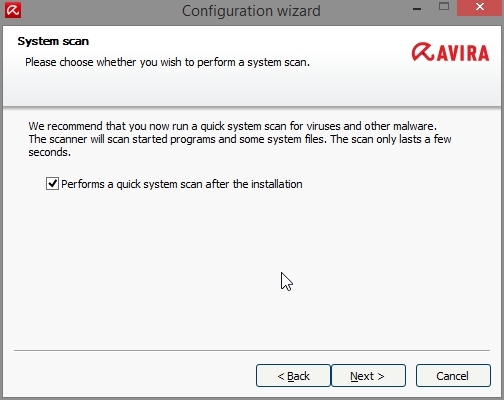 It detects virus, malwares, rootkits and spywares. 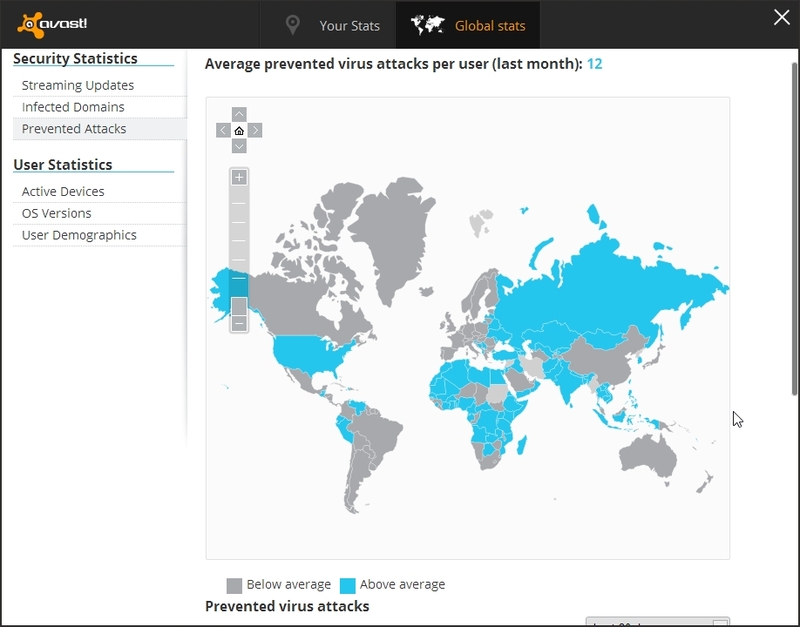 It virus detection rate is very high. 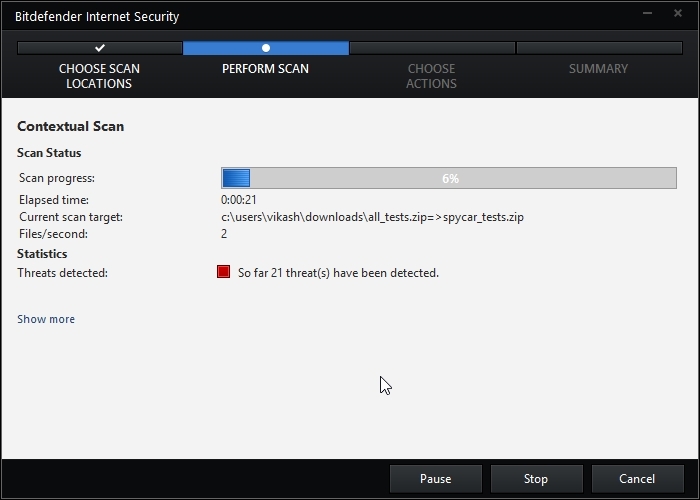 It has good behaviourial based detection of new unknown malwares. 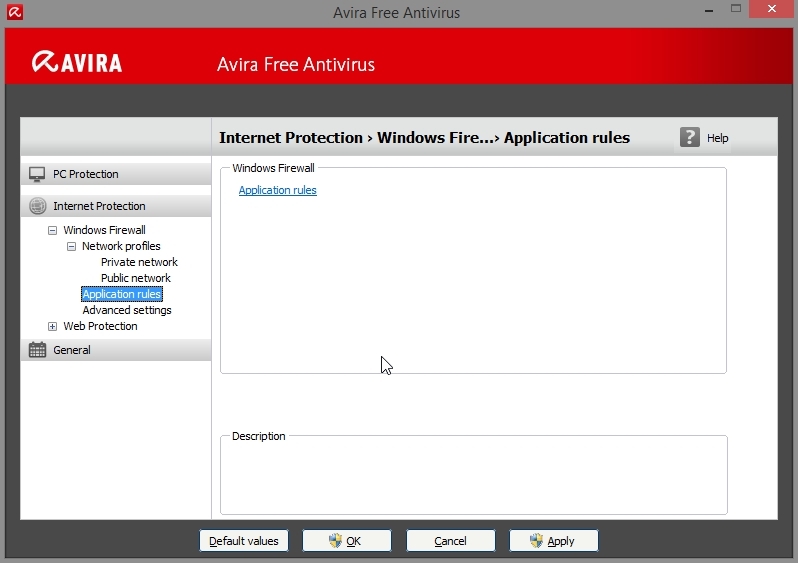 It has firewall that protects from network originated attacks. 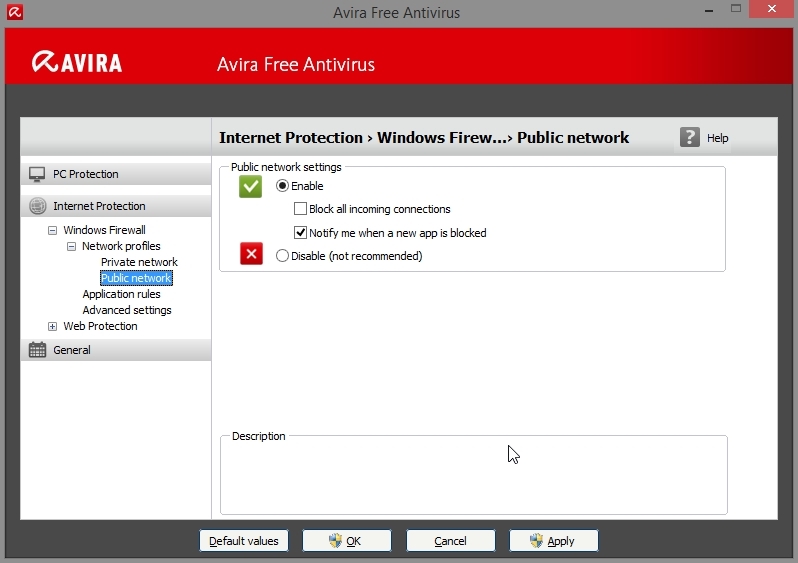 firewall can take most of the decision itself. But sometimes it will ask the user to take decisions. Web browsing protection blocks malicious web sites. 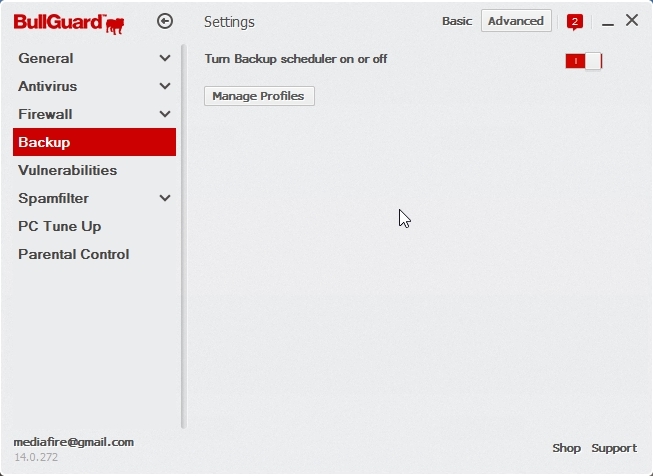 Addition features are spamfilter, 5 GB online backup, PC tuneup which removes unnecessary files. It has vulnerability scanner which detects outdated software that can be explited by hackers and viruses. 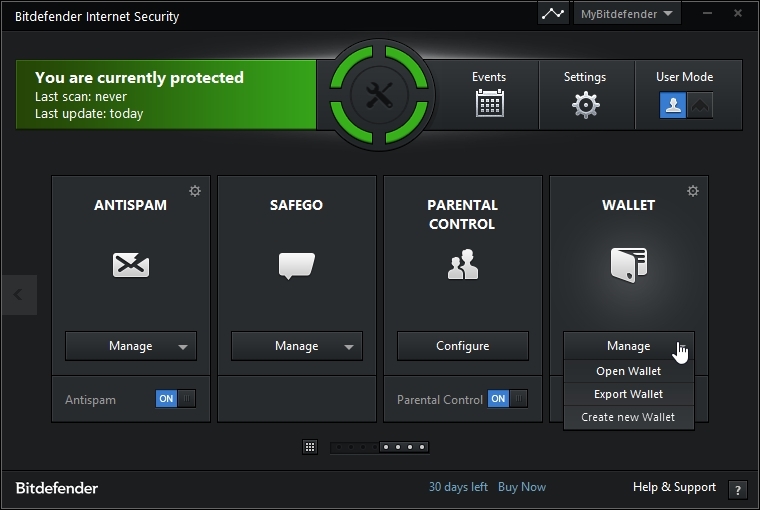 It has a very good parental control which blocks unwanted websites. It can blocks the internet access at specified time of the day. It can block access to specified application. RAM usage is low . It lacks online shopping and banking protection. There is no cloud based detection. 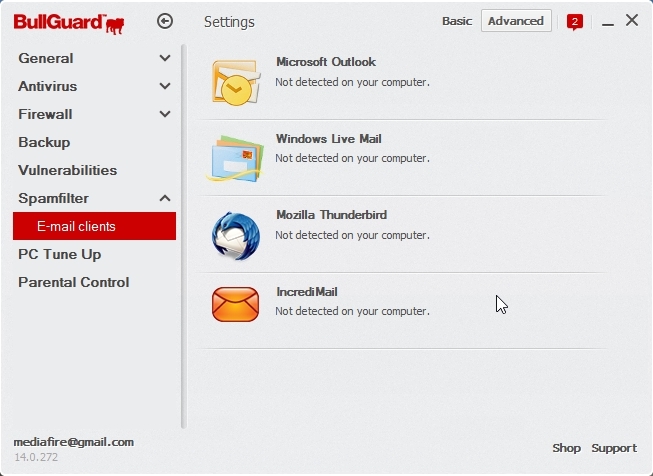 Apart from malware bullguard is bad on detecting adwares and unwanted softwares. 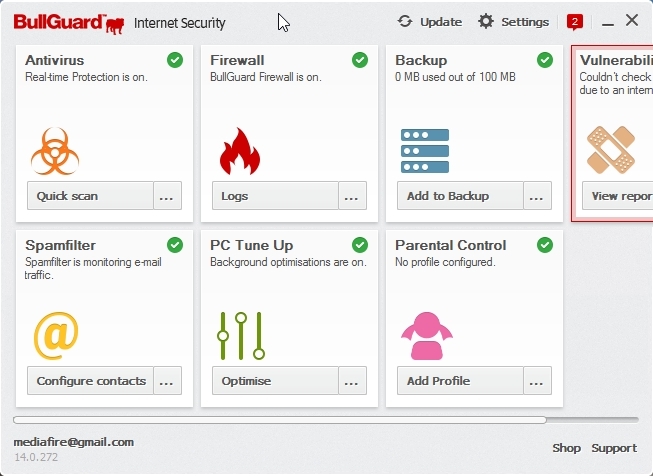 To install bullguard you need live Internet connection. You can expect around 20 MB of setup file. 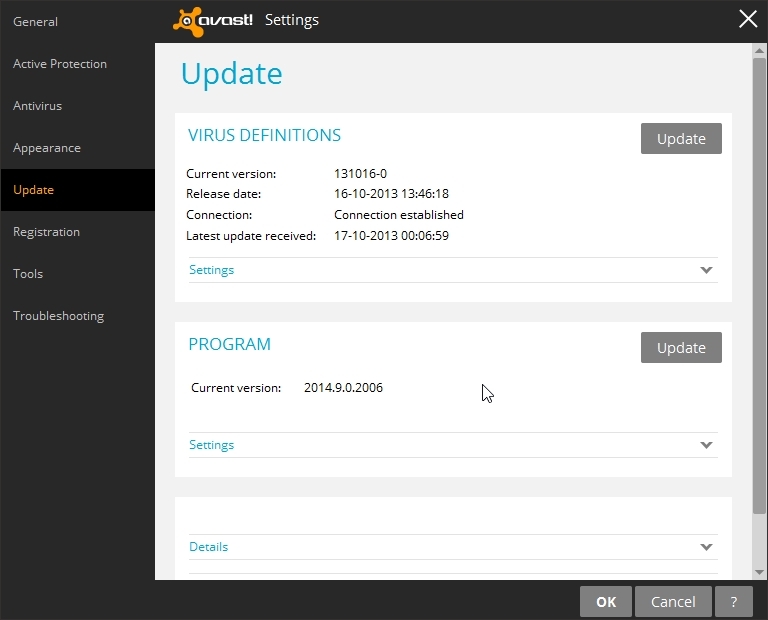 After installation bullguard needs to update the virus definition. You can expect about 200 MB update . 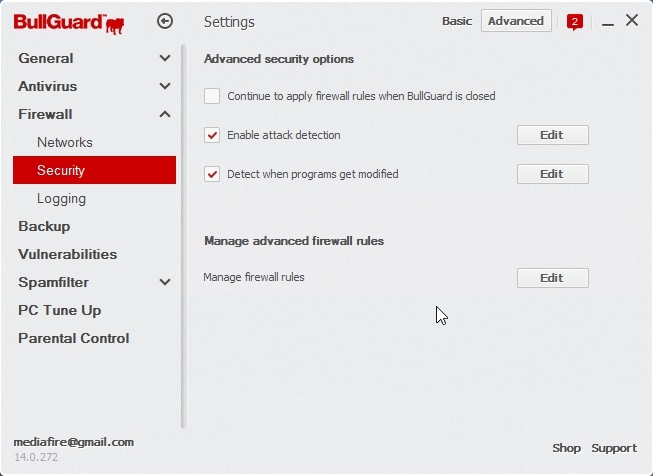 If there is some issues then bullguard will show this windows when you open bullguard. This is not good. 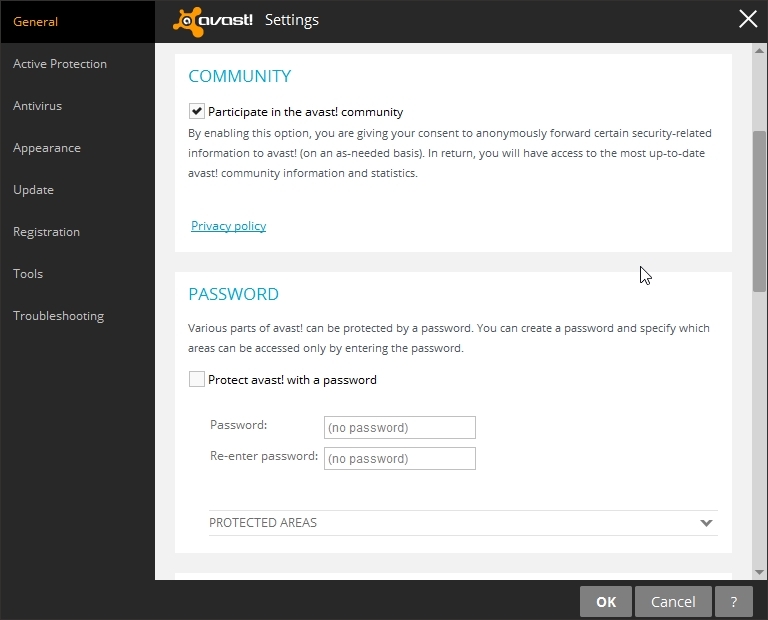 You need to give online account password to access parental control. 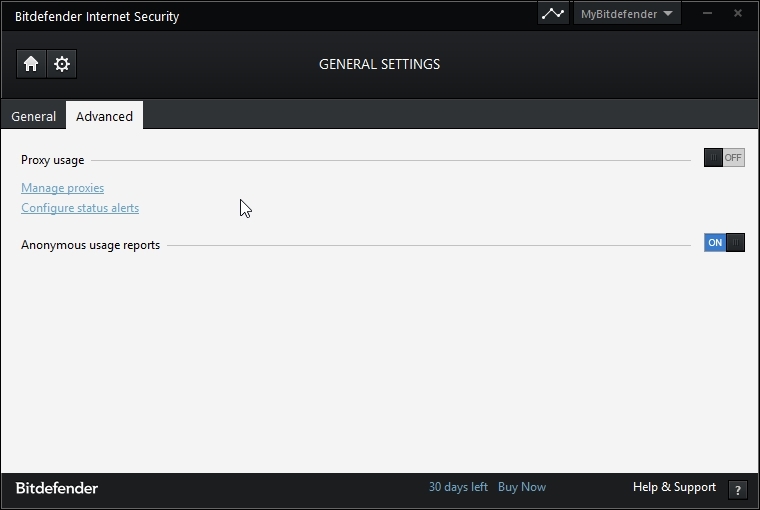 parental control can be set for each Windows user account. 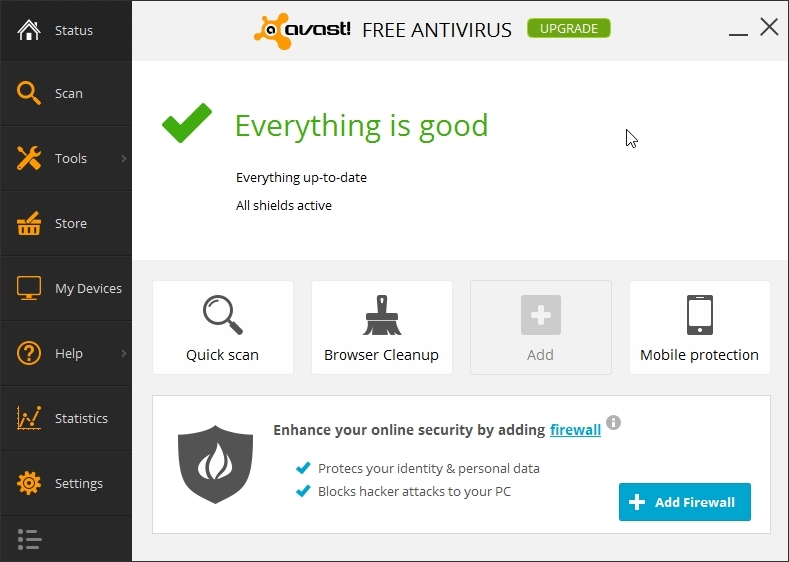 Avast Free Antivirus 2014 ( version 9) is the newest build from avast. 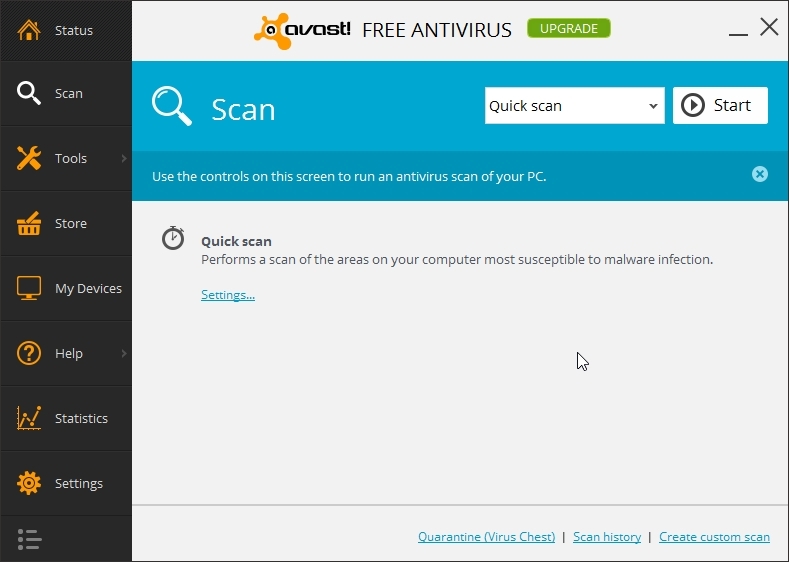 Avast belong to country Czech Republic. 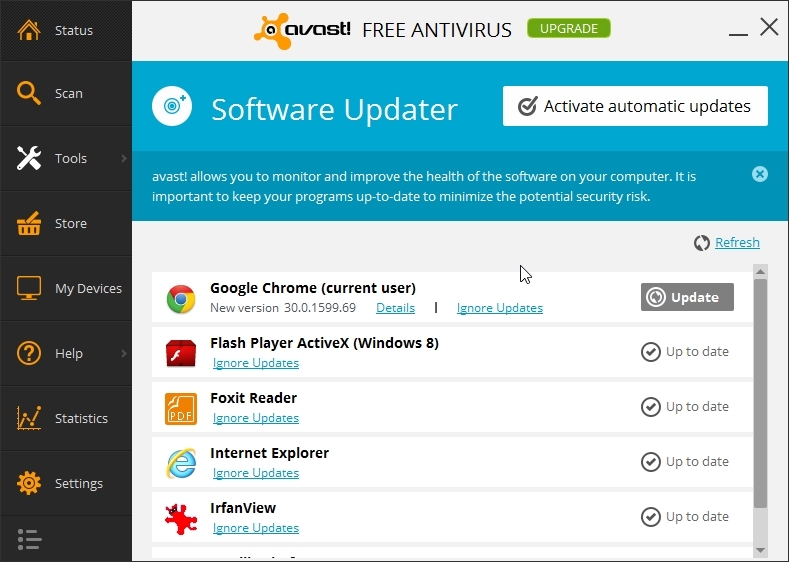 The interface for avast has been changed. Inspired by Windows 8 metro theme. 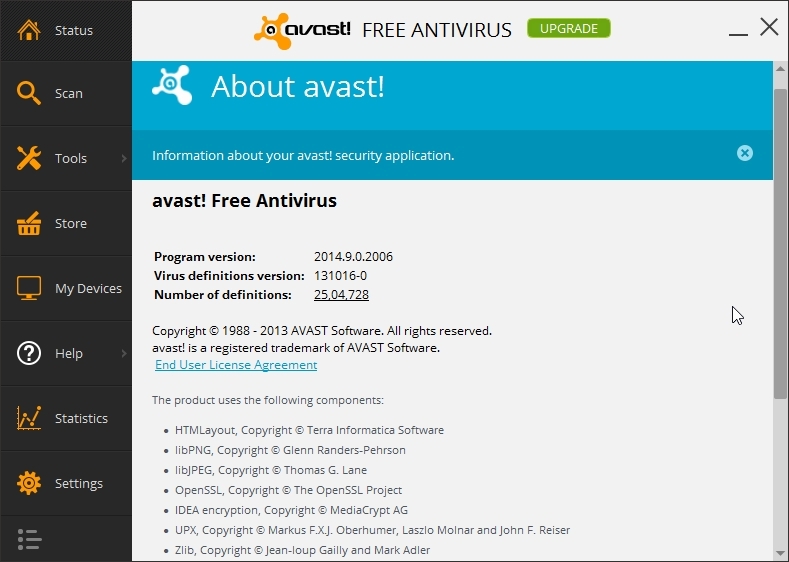 Avast provides protection from malwares along with protection from spyware and rootkits. It also blocks malicious websites. 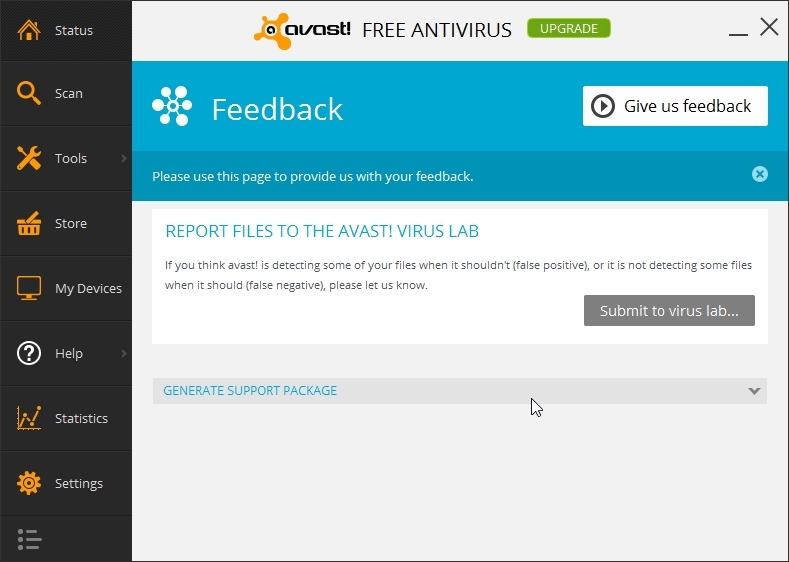 Avast malware detection rate is very good . It has a good behavior based detection. 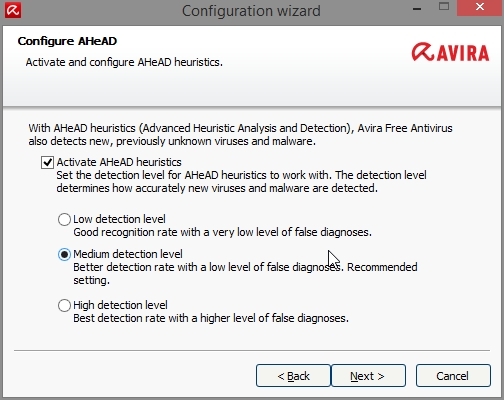 Low false positive. Web protection is also good. 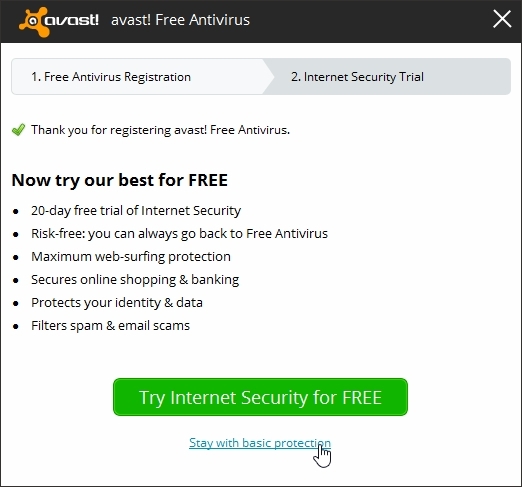 It lacks firewall, anti-spam and web filter. Online banking and shopping protection is missing. 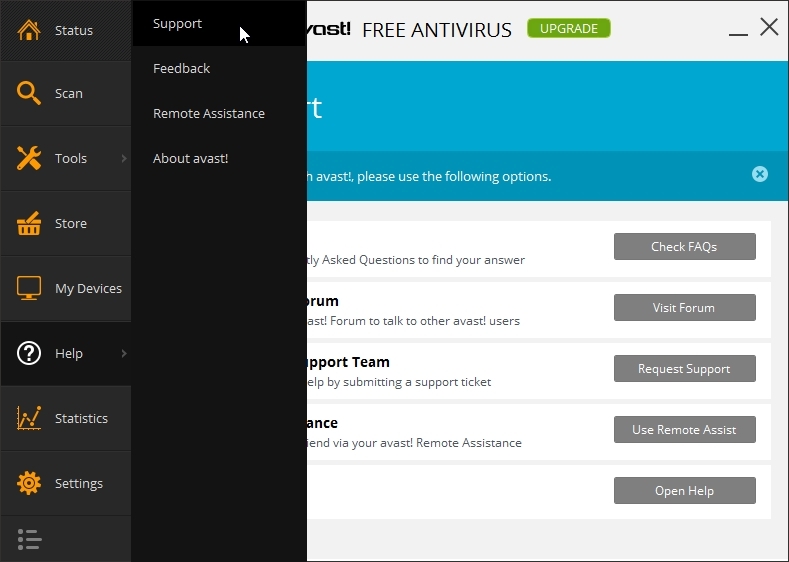 Still good for most users who are looking for free security product. 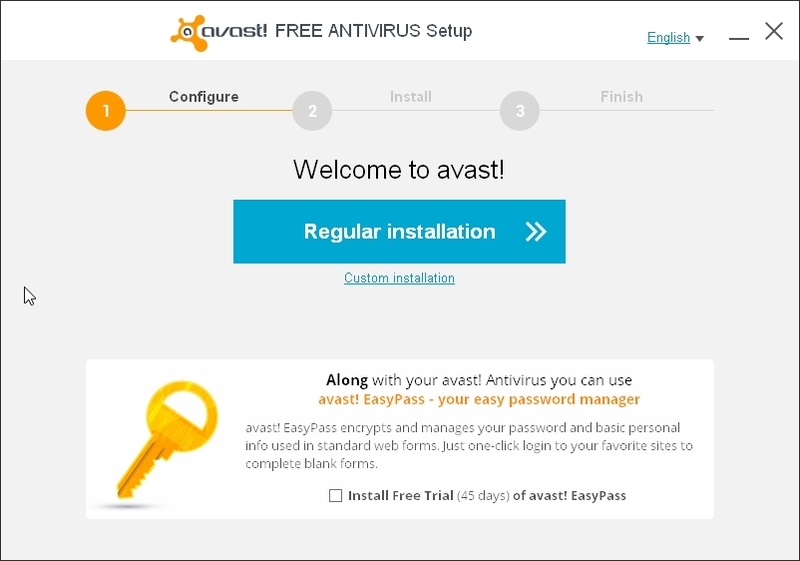 Recommended for most user who are looking for free antivirus. 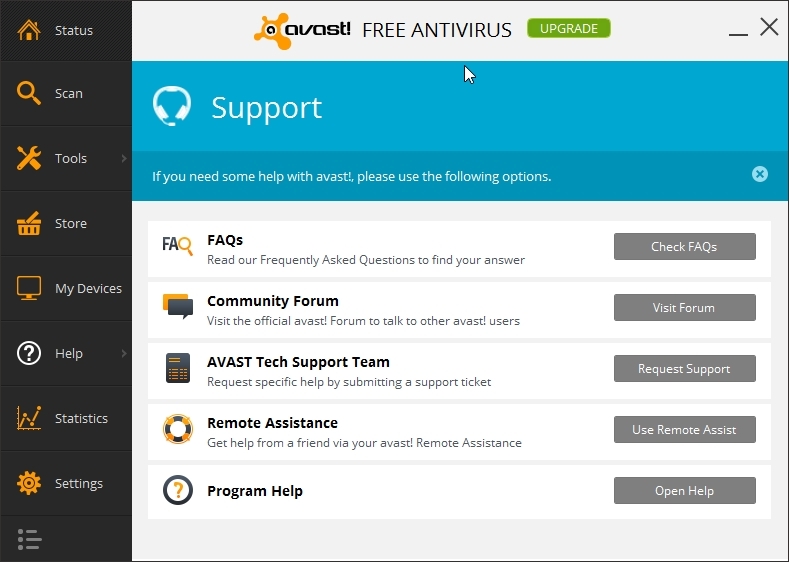 Avast has a lot of settings that can be done. RAM usage is low so interface responds quick. 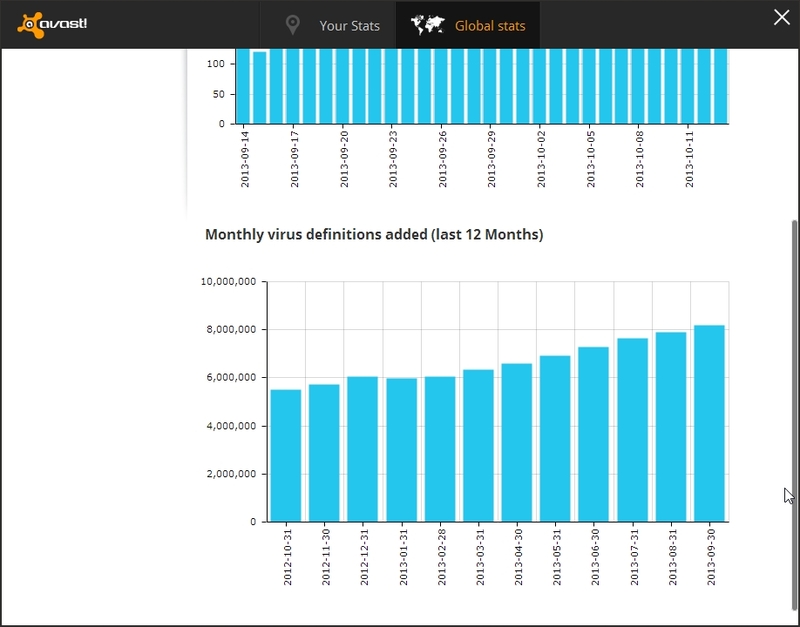 Daily Virus definition updates are small in size. through custom installation you may choose which component to install or not to install. 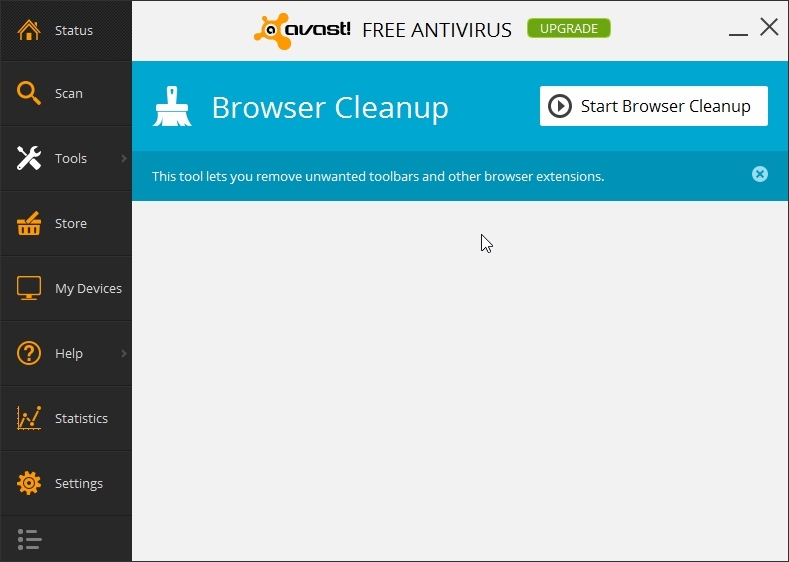 This is the new main interface of avast. Online registering will be required for using it. 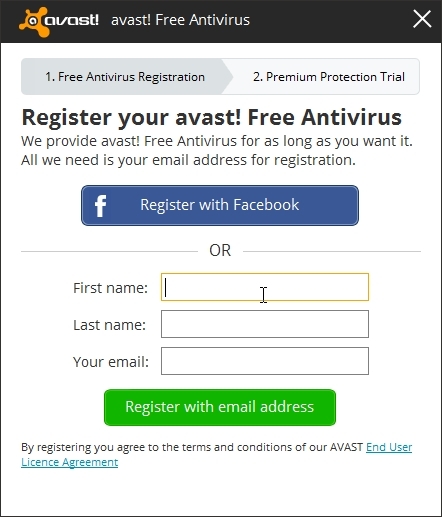 After registration click “stay with basic protection”. choose what type of manual scan you want to do. 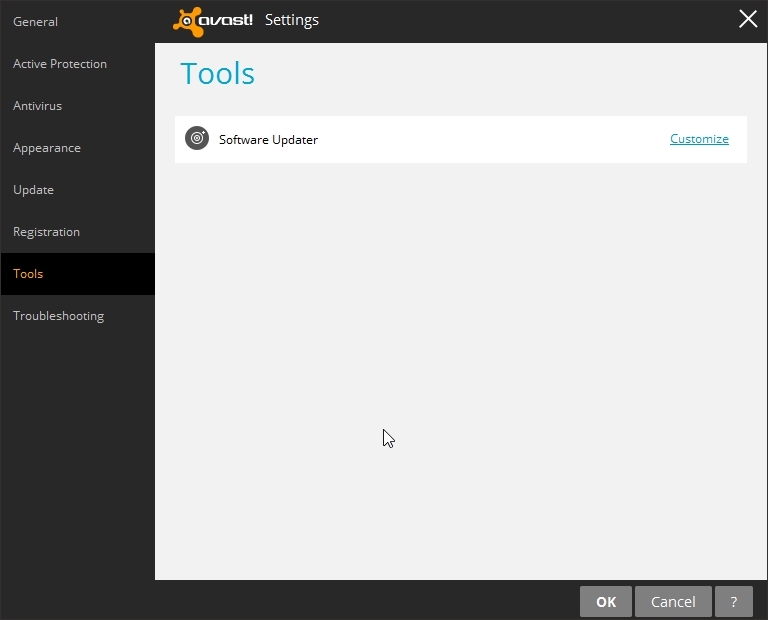 Software updater is a useful tool. 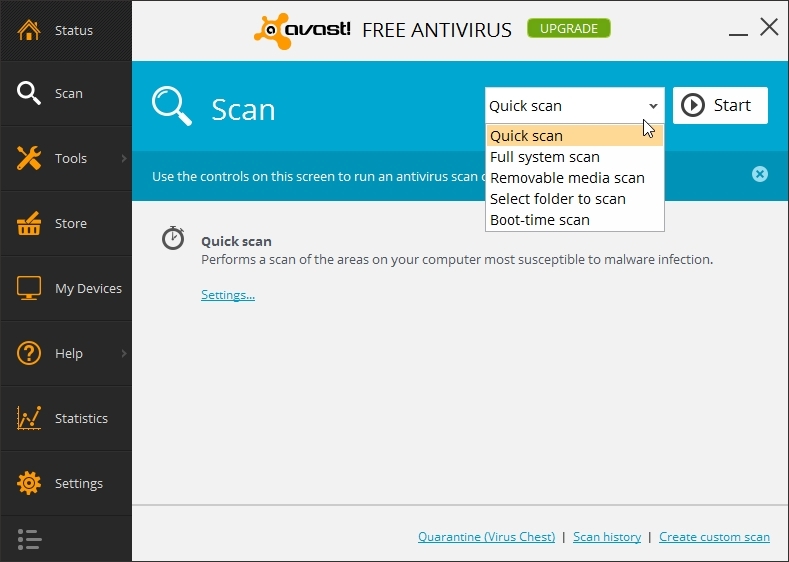 It scans the computer and tells which of the installed softwre is outdated. 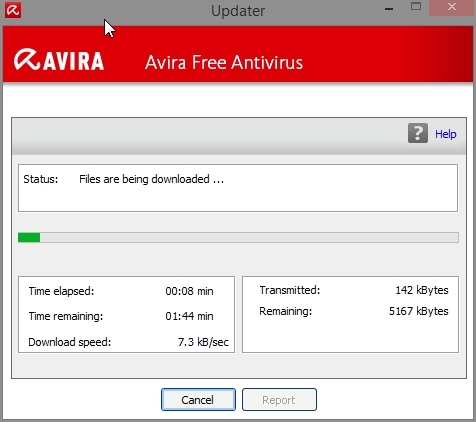 It offers update button which can be used to download latest version of the software. 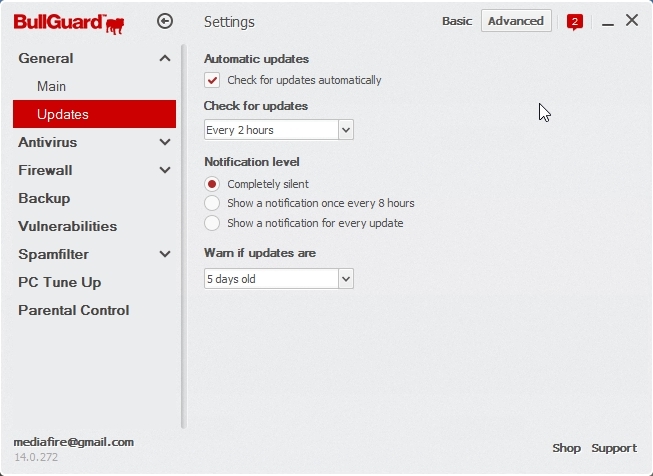 Automatic update is not available in free version. It is available in paid version. 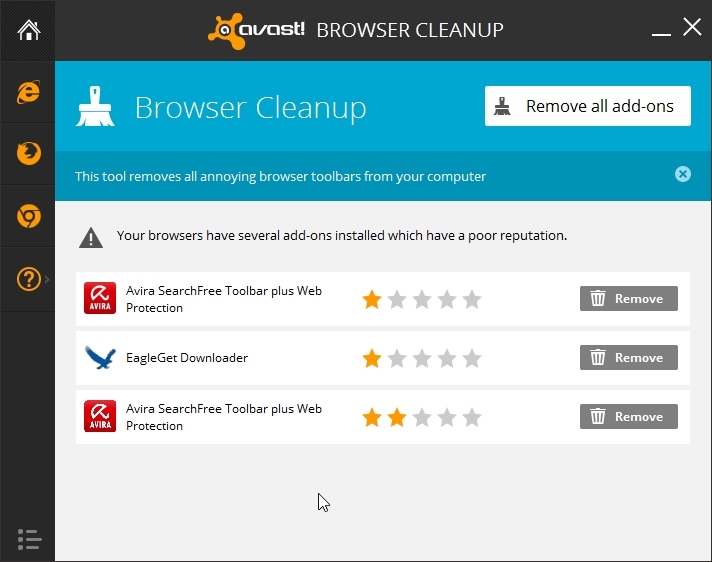 Browser cleanup is helpful tool to remove unwanted browser extensions. You should not remove all the extension but only those that are not required. 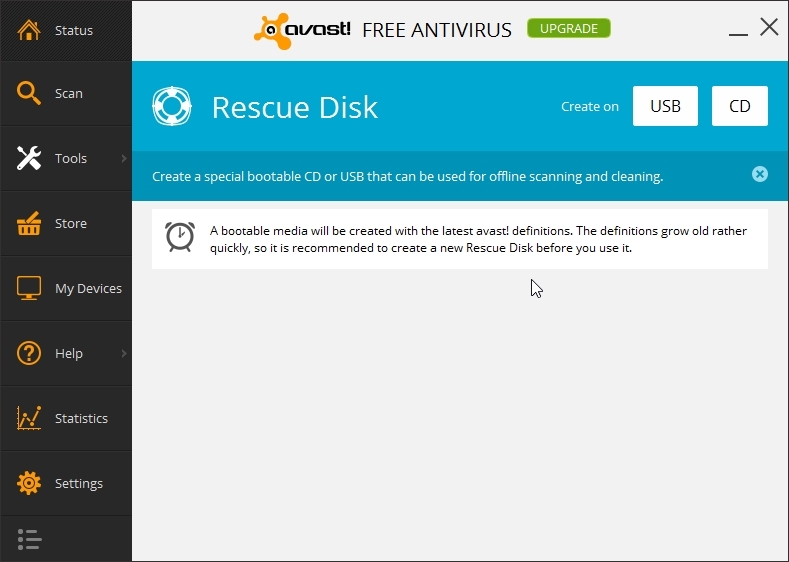 bootable rescue disk creation tool. 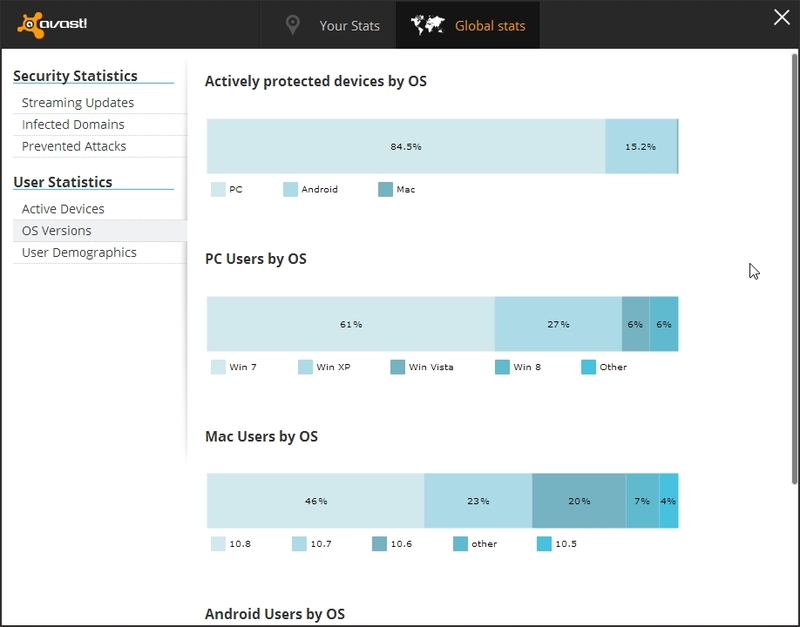 Statistics shows your computer data and golbal data collected by avast. 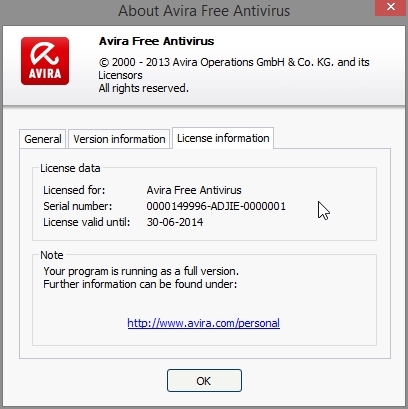 AVIRA FREE ANTIVIRUS 2014 is the latest build from Avira. 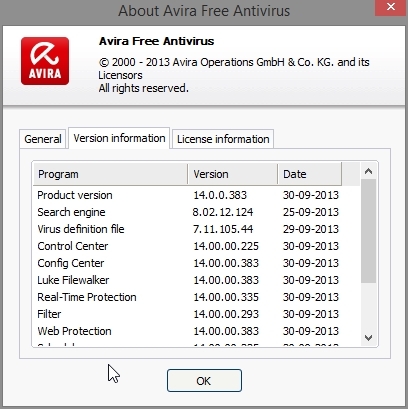 Avira company is from Germany. 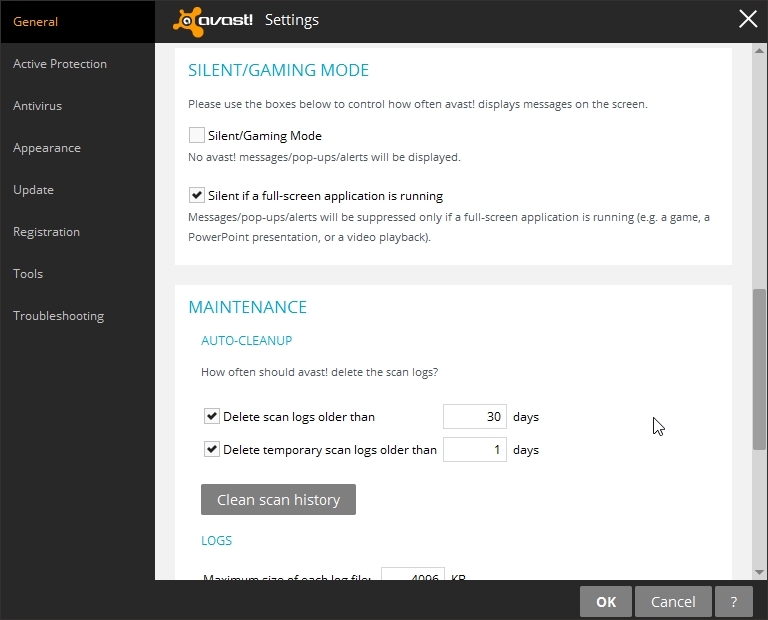 They have improved some of the features and removed annoying messages popups. 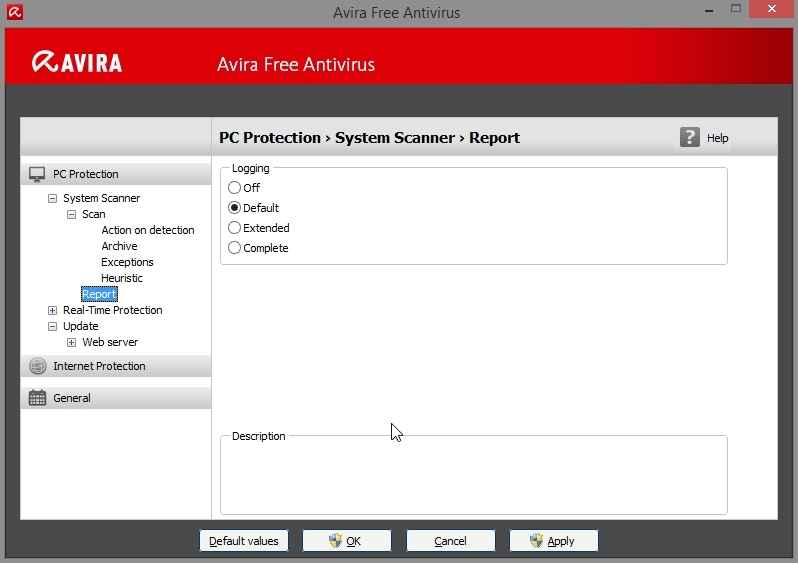 Avira is light on system resources. 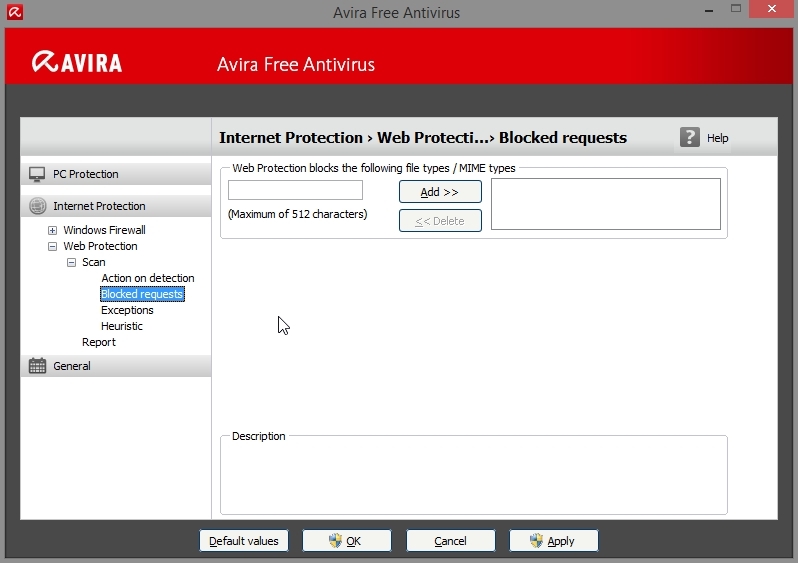 Avira web protection is not that good. 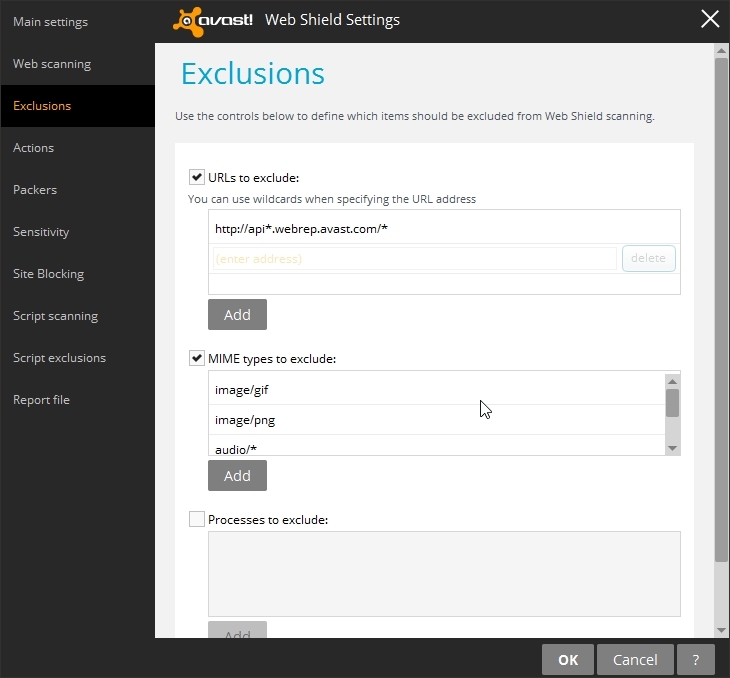 So malicious url will not be blocked effectively. 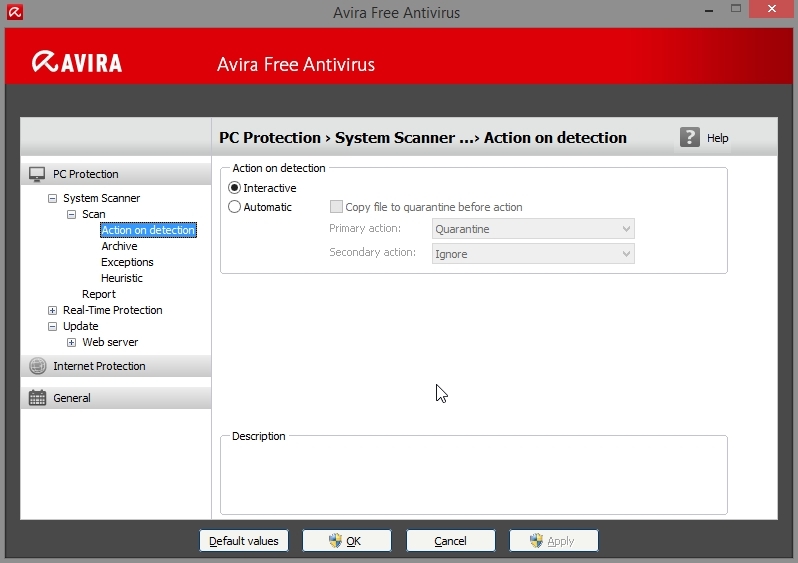 Avira malware detection rate is very good. behavior based detection of unknown malwares needs improvement. 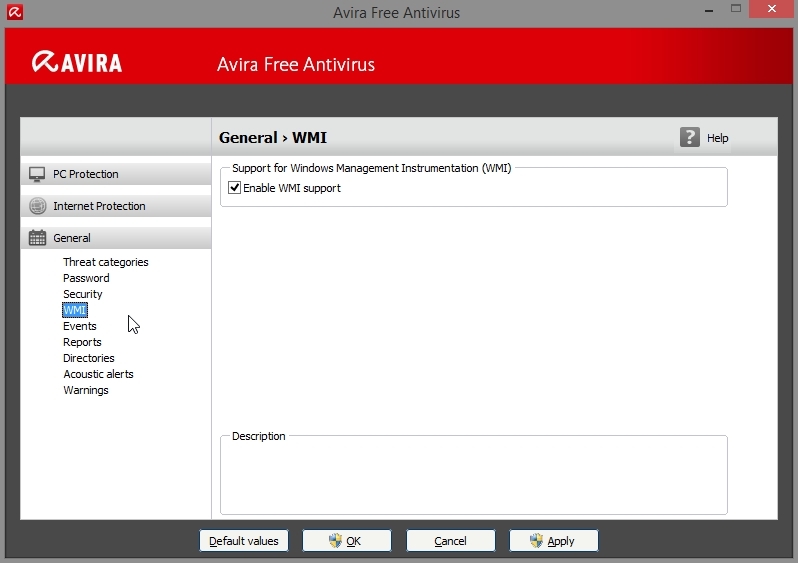 Avira RAM usage is low. AUTOMATIC REPAIRING OF INFECTED FILE AND IF NOT ABLE TO REPAIR THEN TAKE SECONDARY ACTION. SECONDARY ACTION CAN BE RENAME, DELETE, QUARATRINE, IGNORE. SCANNING OF ARCHIVE FILES DURING MANUAL SCAN. Bitdefender Internet Security 2014 is with a non-intrusive and extremely fast scanning technology, it offers enhanced silent security against e-threats. Bitdefender is a romania based computer security company. 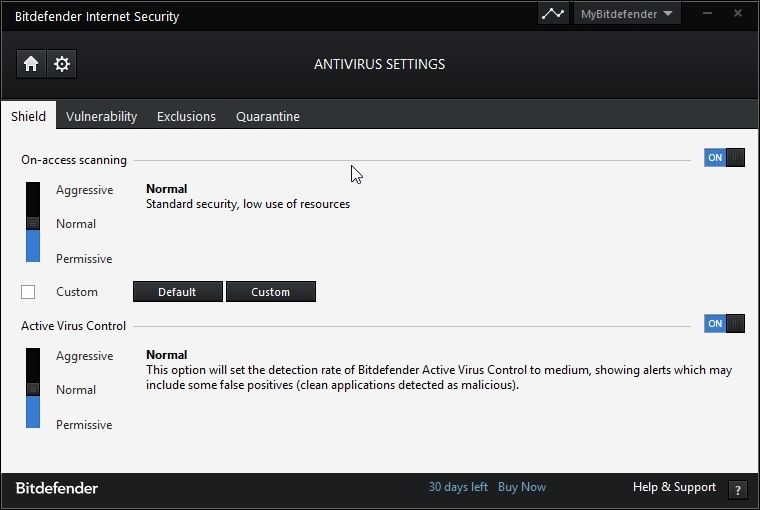 Bitdefender malware detection rate is very good. 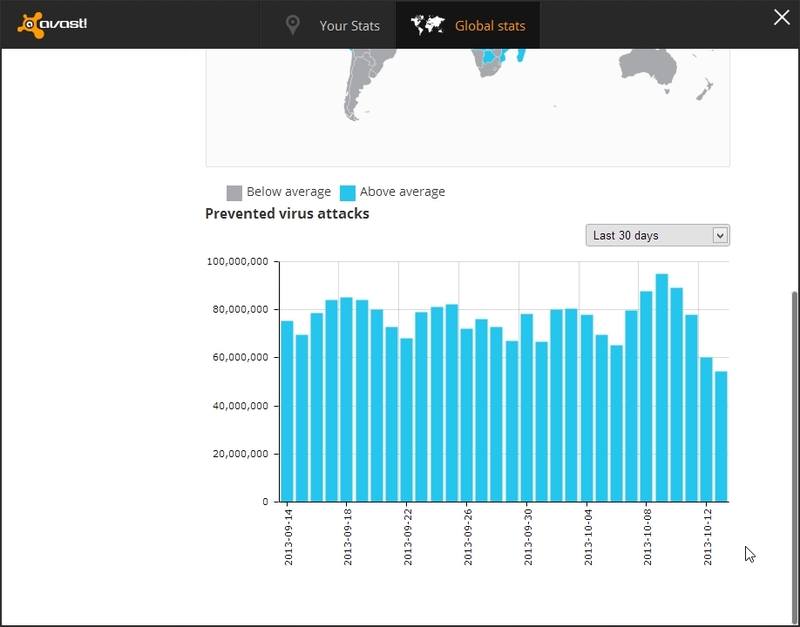 Also malicious website detection rate is very good. 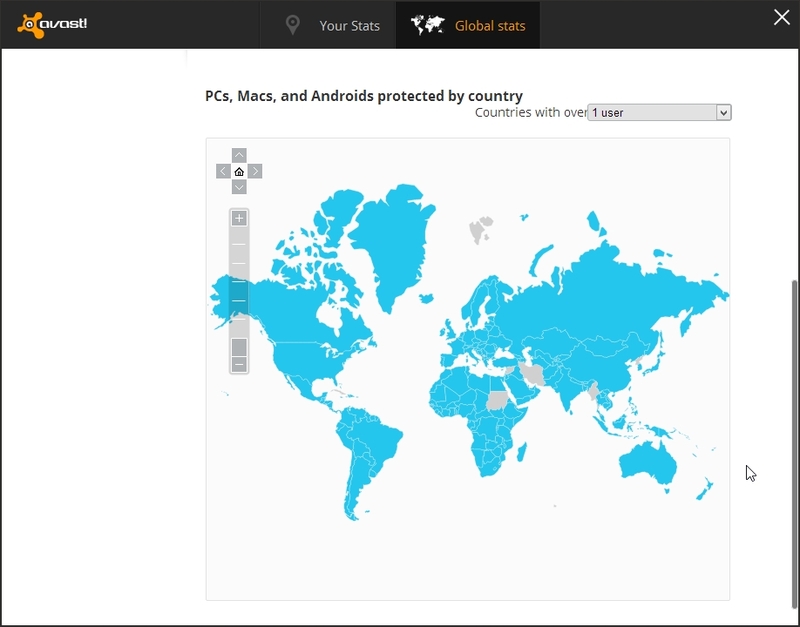 proactive protection from unknown malware is also very good. This feature the cpu usage to rise to detect unknown malware. 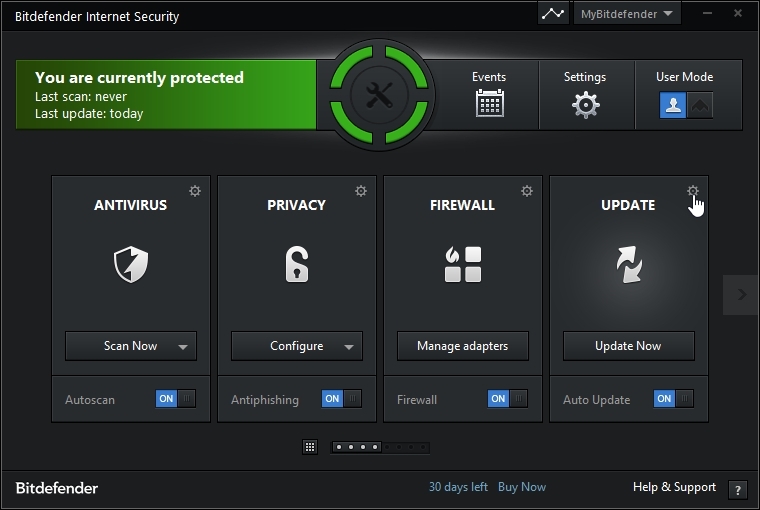 But bitdefender successfully suppresses malicious activity by new malwares. The interface response is fast. RAM usage is low. 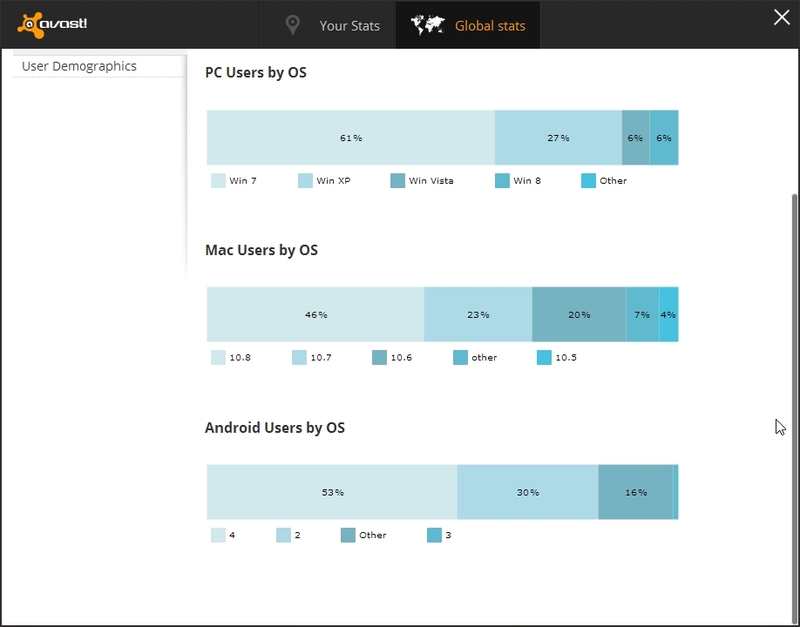 But may increase in parental control feature is used. Photon technology is really good and effective which tries to minimize the slowdown caused by Bitdefender. Very user friendly. Anyone can use. 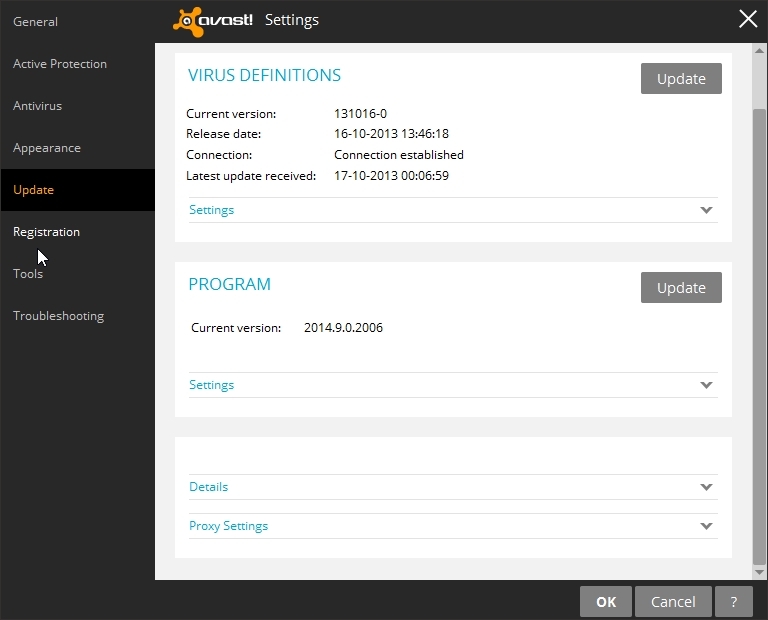 Active Virus Control – Active Virus Control is a proactive, dynamic detection technology. 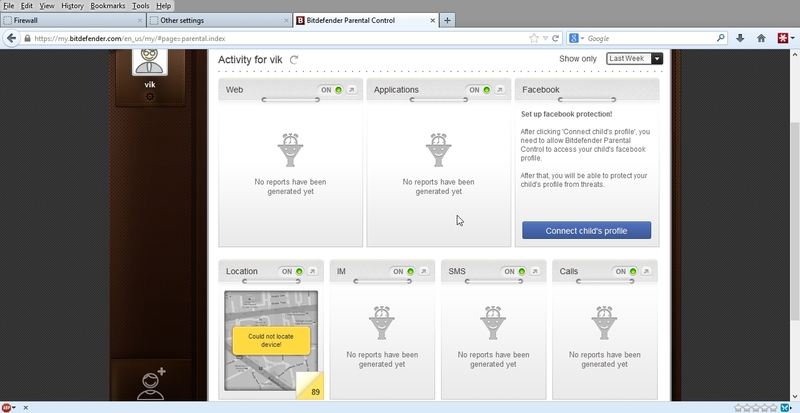 It monitors processes’ behavior in real time, as they are running, and tags suspicious activities. Extremely fast. Non-intrusive. With Bitdefender Photon – Experience the antivirus at an incredible speed, without slowdowns! Bitdefender Photon™ is an innovative antivirus technology that eliminates slowdowns and accelerates scanning speed by gradually adapting to your PC. Remote Management – Remotely scan and fix security issues on all of your Bitdefender-protected devices from anywhere, using MyBitdefender. 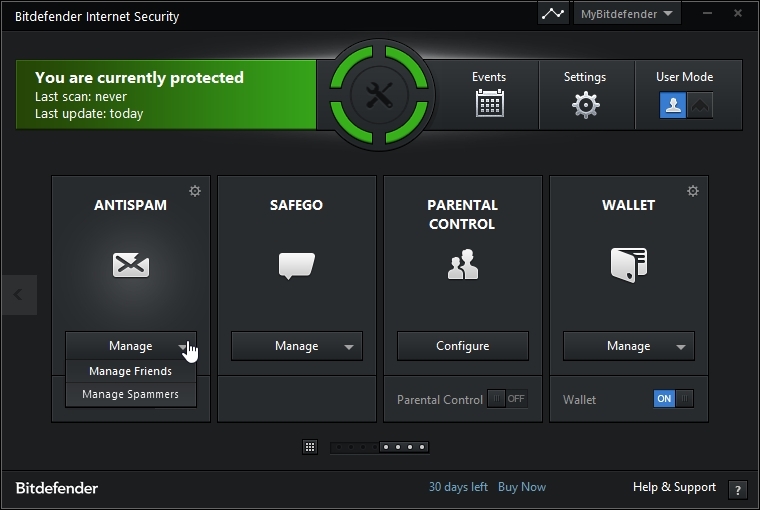 Social Network Protection – Bitdefender Safego™ filters/blocks social-networking specific e-threats by scanning links you receive from your Facebook friends, monitors your privacy settings, and much more! 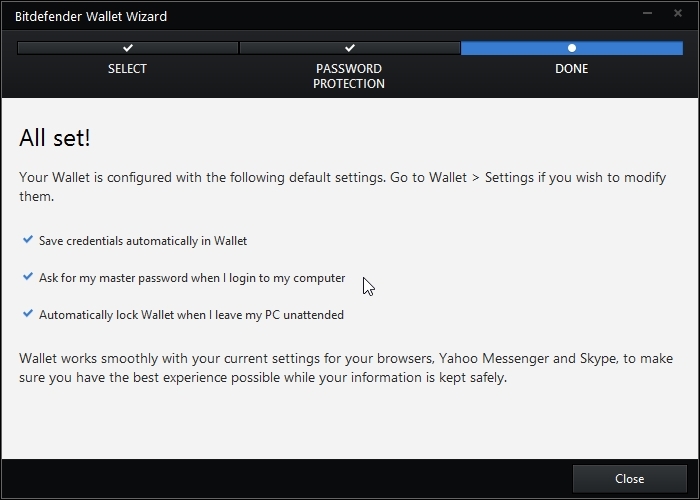 Antiphishing – Analyzes and blocks websites that support various scams or credit card phishing attempts. 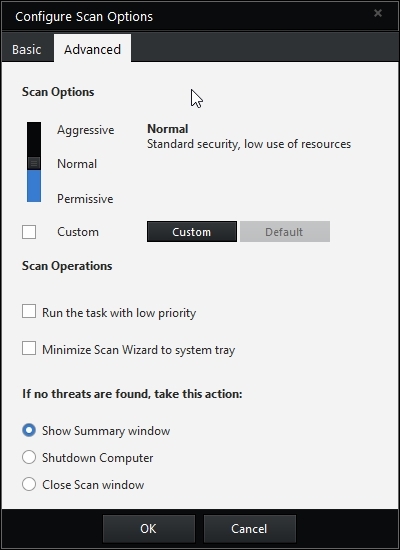 Rescue Mode – If e-threats, such as rootkits, cannot be removed from within the Windows operating system, the computer is re-booted in Rescue mode — a trusted environment which is then used for cleanup and restoration. 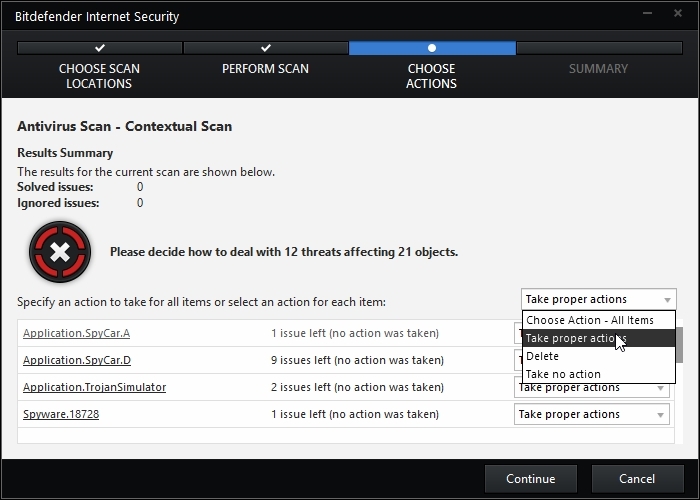 Security Widget – Enables you to keep track of all of your security-related tasks, plus lets you quickly and easily drag-and-drop files for quick scanning for viruses – right from your desktop! USB Immunizer – Immunizes any Flash Drive from viruses when they’re connected to your computer so you never worry again about USBs infecting you or your friends. 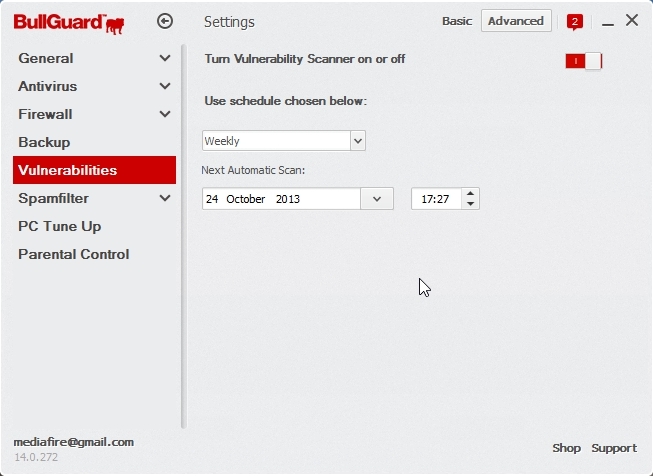 Vulnerability Scanner – The vulnerability scanner checks for missing or outdated security software, missing Windows security patches, and potentially unsafe system settings. 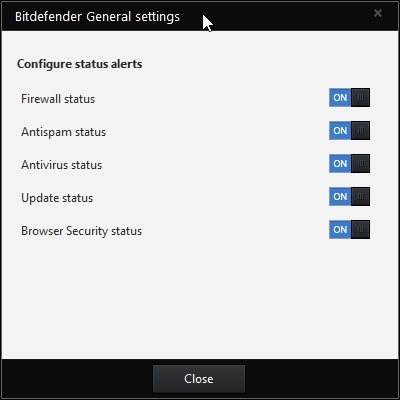 Bitdefender Autopilot – No interruptions. No questions. 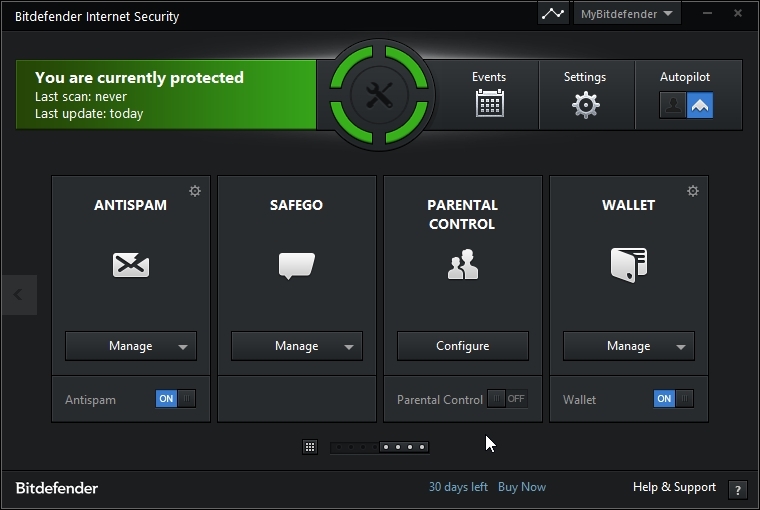 Bitdefender can handle security-related decisions automatically, without requiring input from you. 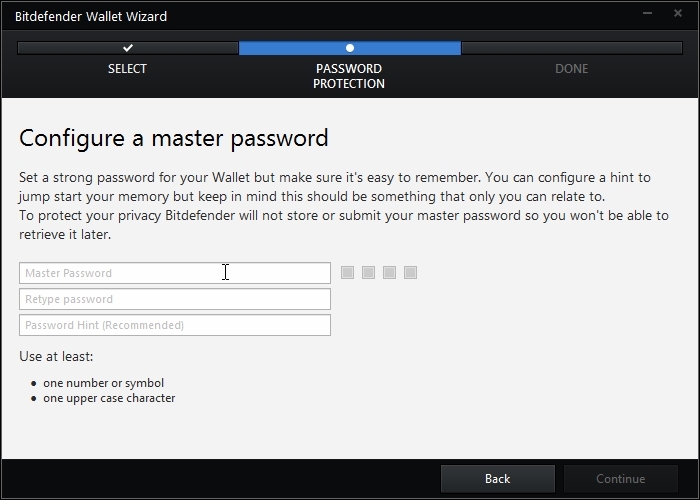 New Wallet – Bitdefender now introduces a fully-fledged Wallet, which allows you to quickly access your sensitive credentials, and the autofill feature even automatically recalls them to you save time. 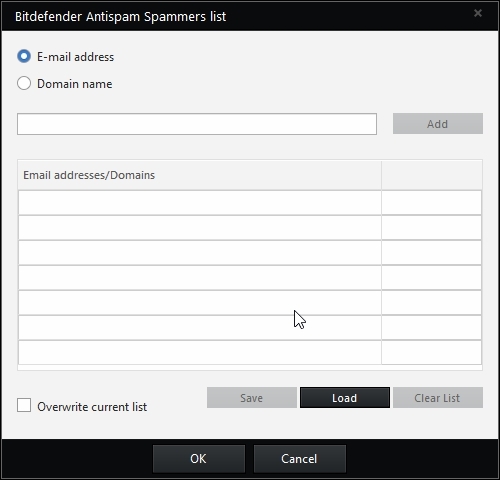 Enhanced Antispam – Bitdefender has elevated its antispam technology to full Cloud, resulting in no impact on performance, even better detection rates, and a very small footprint on disk. 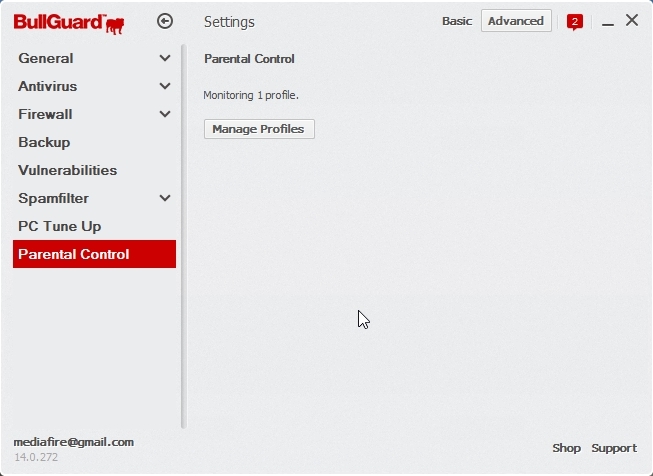 Enhanced Parental Controls – The Parental Control technology has been redesigned to include complete coverage on all Windows environments, a cooler user experience and more details and options for privacy checks on Facebook. 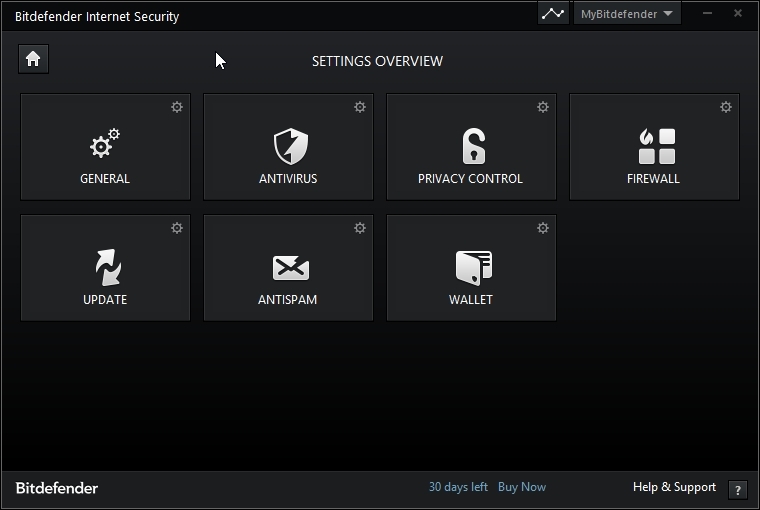 Enhanced Bitdefender Safepay – All your online banking and e-shopping transactions will be secured. Additionally, you will have your sensitive credentials safely within your reach. Personal Data Filter – Prevents critical data (such as anything even resembling your social security number) from ever leaving your computer. 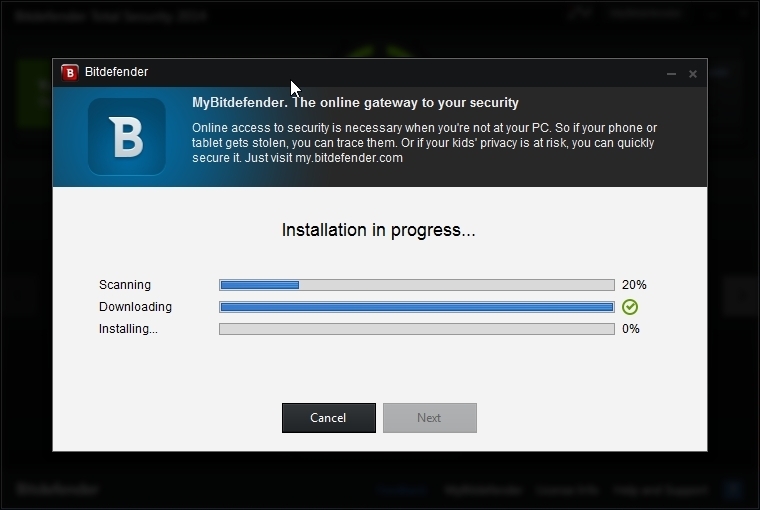 During installation bitdefender will ask for permission to download latest files. If you have very fast internet connection then click “yes” otherwise “no“. 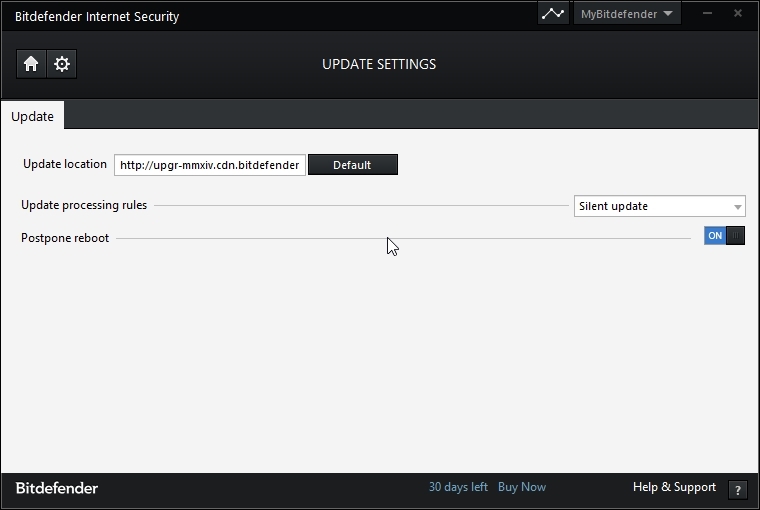 Bitdefender main interface showing antivirus, privacy, firewall & update module. You may slide the bar the small bar to see other modules of bitdefender. 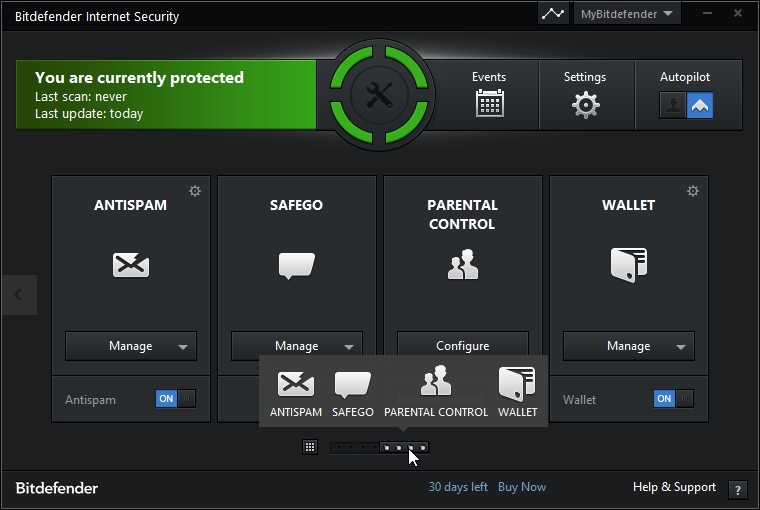 Below showing antispam, safego, parental control & wallet module. 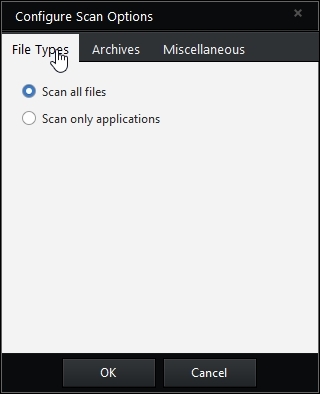 Scan now dropdown menu shows various scan options. System scan do full system scan. 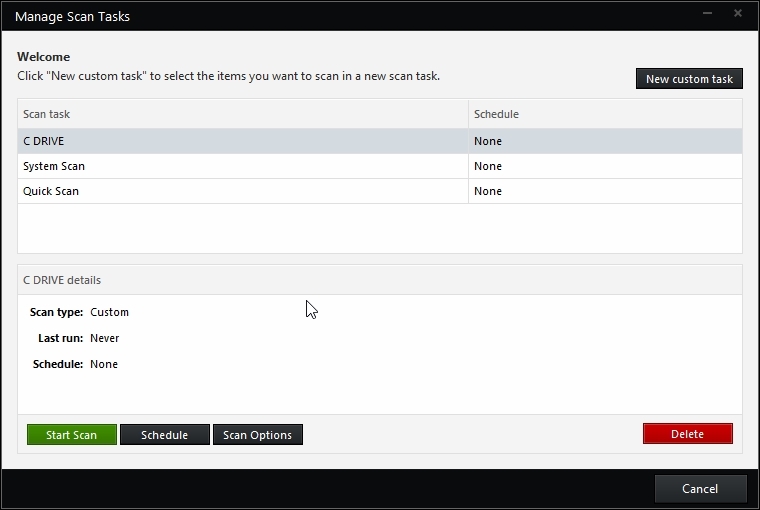 Manage scan option lets you create custom scans. 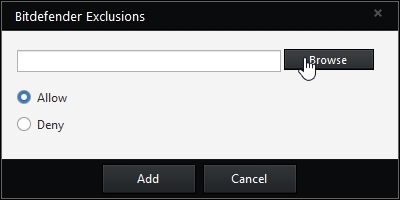 Choose what should be done with detected files. You can turn ON/OFF antivirus module. Click on setting icon as shown below to open antivirus settings. Default settings are good. You can change the antivirus protection level by sliding the vertical bar. If you want increased protection then move slider to “Aggressive“. Click on “Custom” to do custom settings. 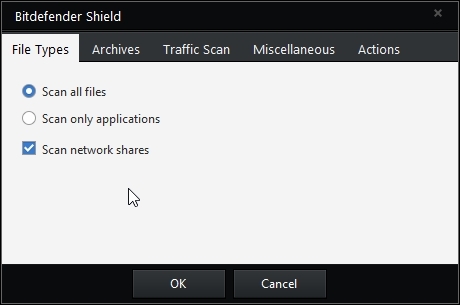 You can set Bitdefender to scan all accessed files or applications (program files) only. 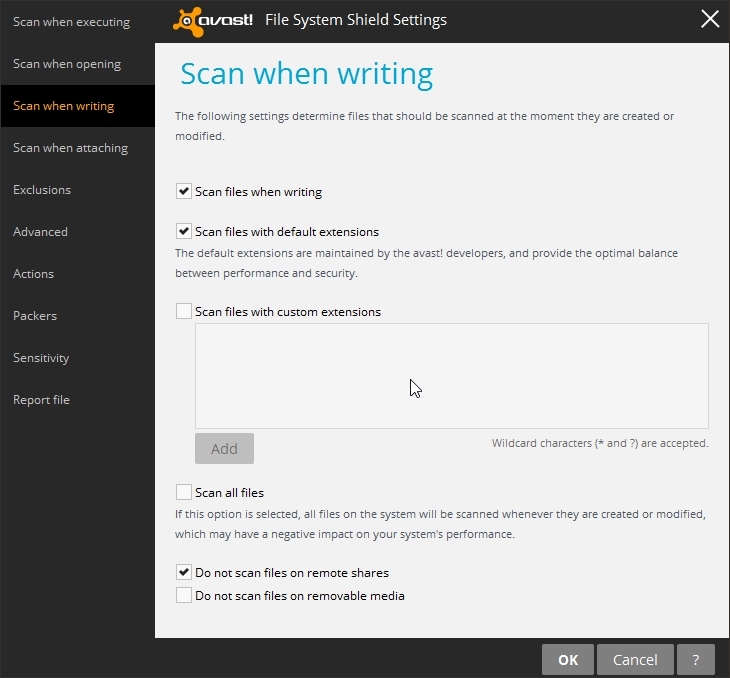 Scanning all accessed files provides best protection, while scanning applications only can be used for better system performance. By default archives are not scanned. But you may turn it ON by ticking “Scan inside archives“. Scanning inside archives is a slow and resource-intensive process, which is therefore not recommended for real-time protection. 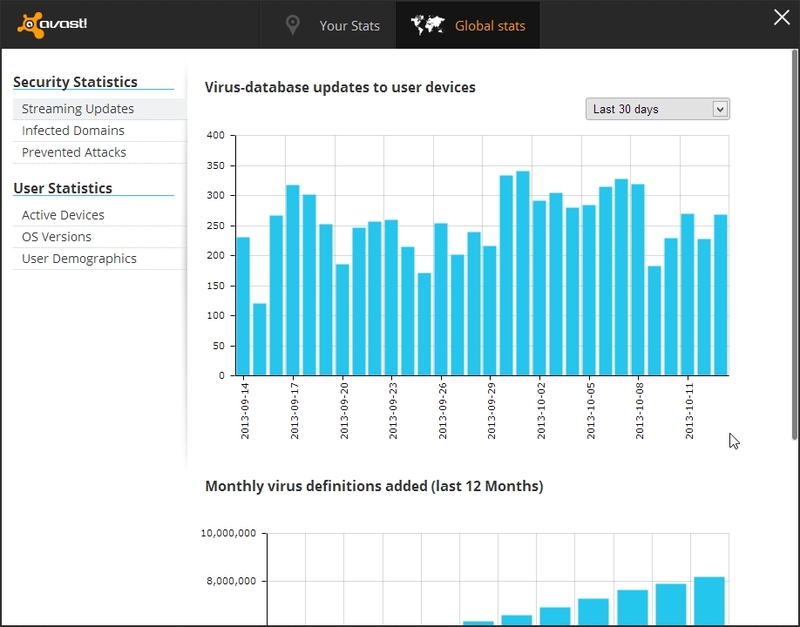 Archives containing infected files are not an immediate threat to the security of your system. The malware can affect your system only if the infected file is extracted from the archive and executed without having real-time protection enabled.If you decide on using this option, you can set a maximum accepted size limit of archives to be scanned on-access. Select the corresponding check box and type the maximum archive size (in MB). Scanning the web traffic may slow down web browsing a little, but it will block malware coming from the Internet, including drive-by downloads. Though not recommended, you can disable e-mail, web or instant messaging antivirus scan to increase system performance. If you disable the corresponding scan options, the e-mails and files received or downloaded from the Internet will not be scanned, thus allowing infected files to be saved to your computer. This is not a major threat because real-time protection will block the malware when the infected files are accessed (opened, moved, copied or executed). Scan boot sectors. 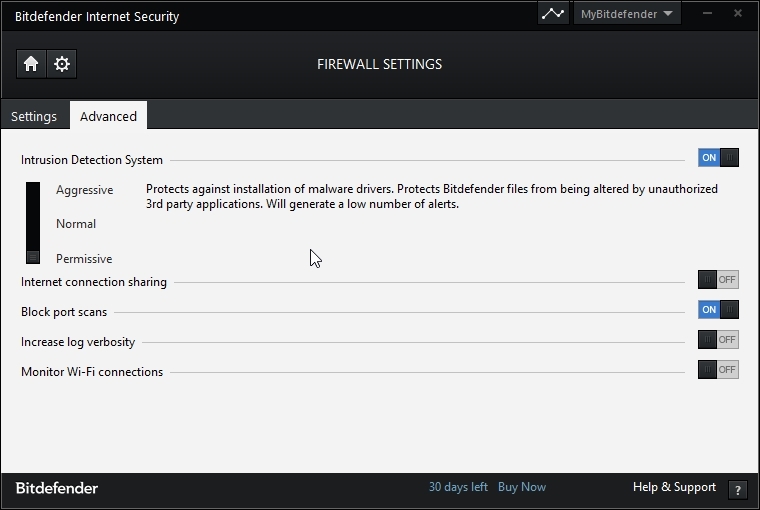 You can set Bitdefender to scan the boot sectors of your hard disk. This sector of the hard disk contains the necessary computer code to start the boot process. When a virus infects the boot sector, the drive may become inaccessible and you may not be able to start your system and access your data. 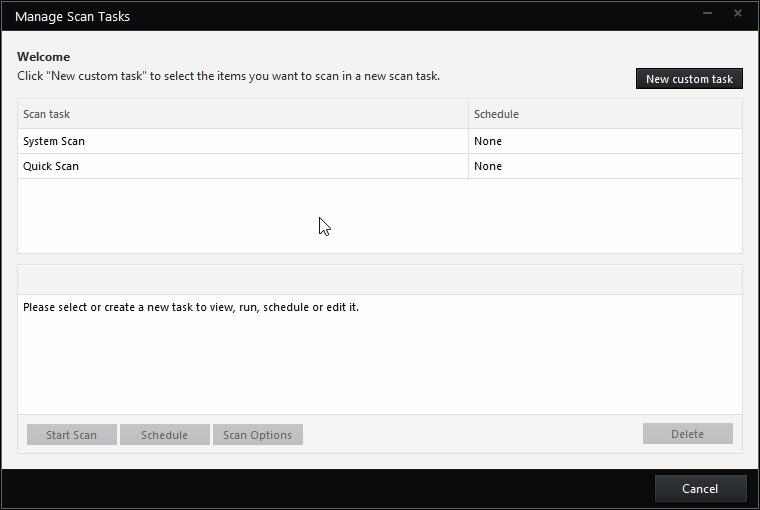 Scan only new and changed files. 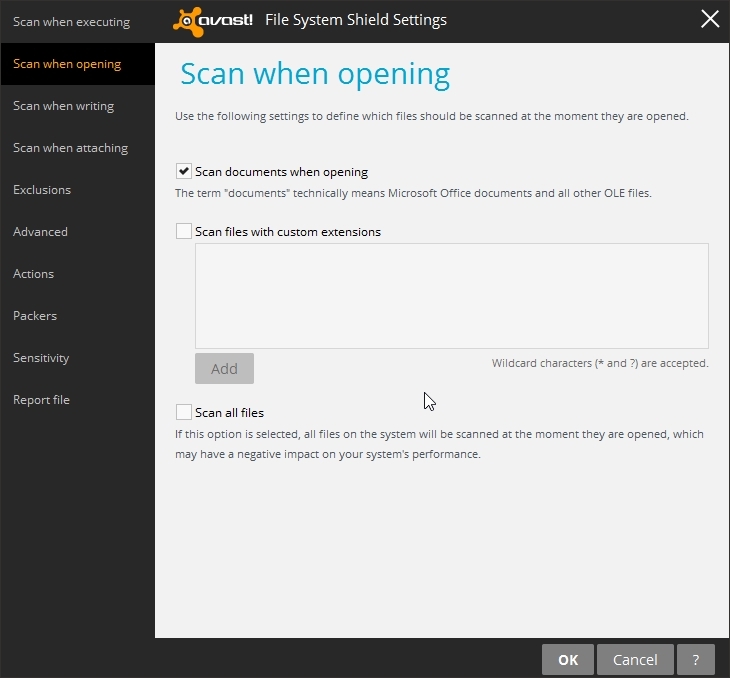 By scanning only new and changed files, you may greatly improve overall system responsiveness with a minimum trade-off in security. 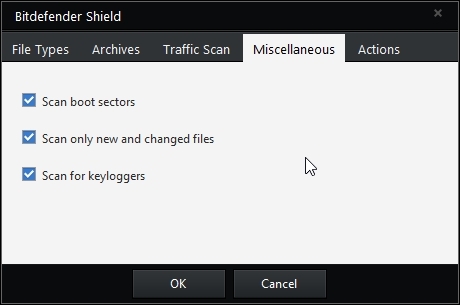 Scan for keyloggers. 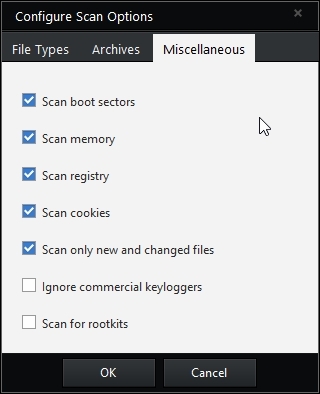 Select this option to scan your system for keylogger applications. 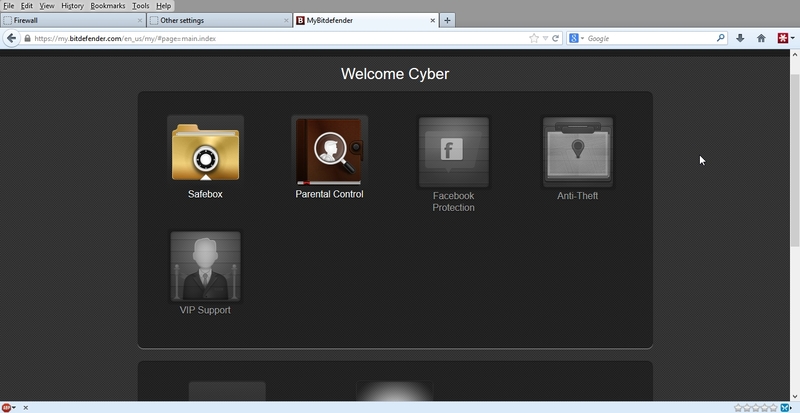 Keyloggers record what you type on your keyboard and send reports over the Internet to a malicious person (hacker). The hacker can find out sensitive information from the stolen data, such as bank account numbers and passwords, and use it to gain personal benefits. Infected files. 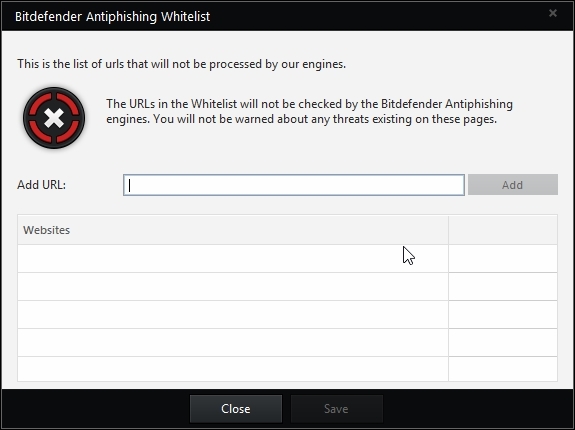 Files detected as infected match a malware signature in the Bitdefender Malware Signature Database. 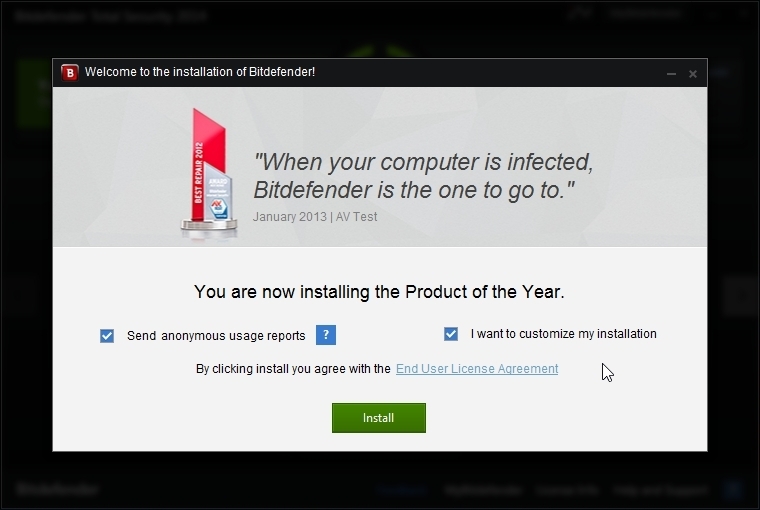 Bitdefender will automatically attempt to remove the malware code from the infected file and reconstruct the original file. This operation is referred to as disinfection. Files that cannot be disinfected are moved to quarantine in order to contain the infection. Quarantined files cannot be executed or opened; therefore, the risk of getting infected disappears. Suspicious files. Files are detected as suspicious by the heuristic analysis. Suspicious files cannot be disinfected, because no disinfection routine is available. They will be moved to quarantine to prevent a potential infection. 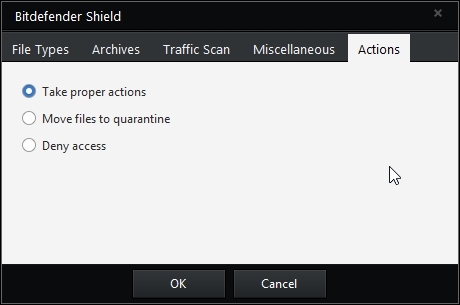 By default, quarantined files are automatically sent to Bitdefender Labs in order to be analyzed by the Bitdefender malware researchers. 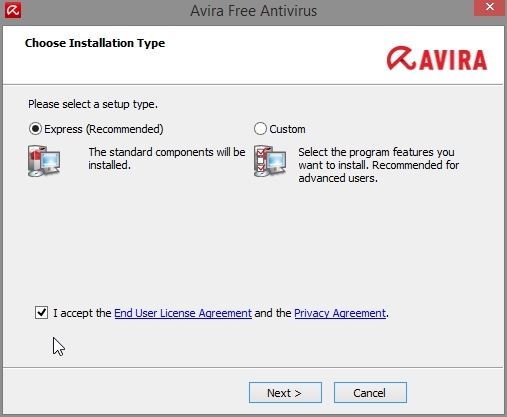 If malware presence is confirmed, a signature is released to allow removing the malware. 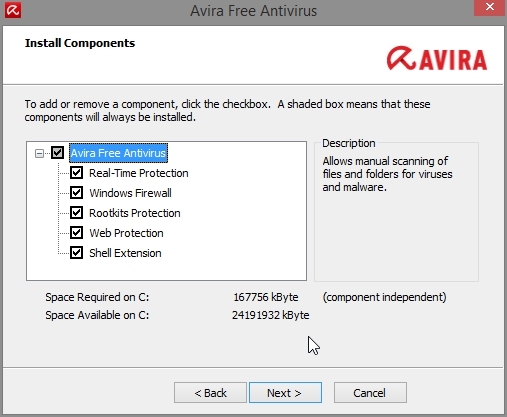 Archives that contain only infected files are deleted automatically. 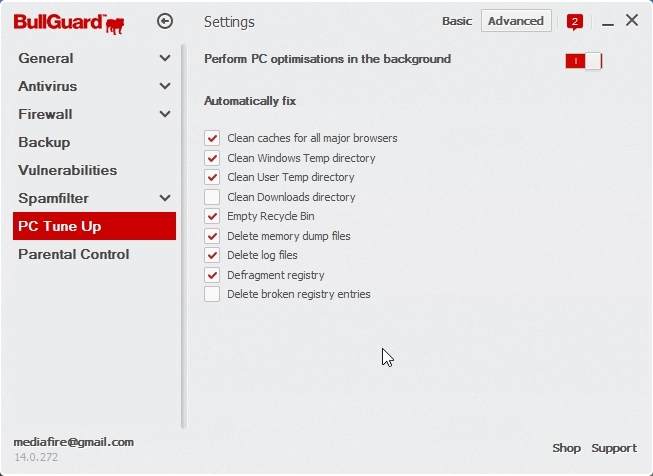 If an archive contains both infected and clean files, Bitdefender will attempt to delete the infected files provided it can reconstruct the archive with the clean files. If archive reconstruction is not possible, you will be informed that no action can be taken so as to avoid losing clean files. Moves detected files to quarantine. Quarantined files cannot be executed or opened; therefore, the risk of getting infected disappears. 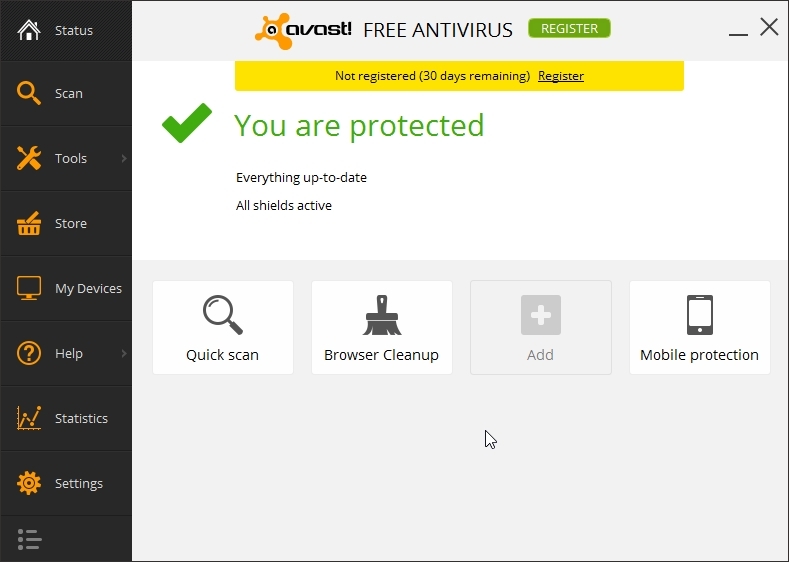 In case an infected file is detected, the access to this will be denied. 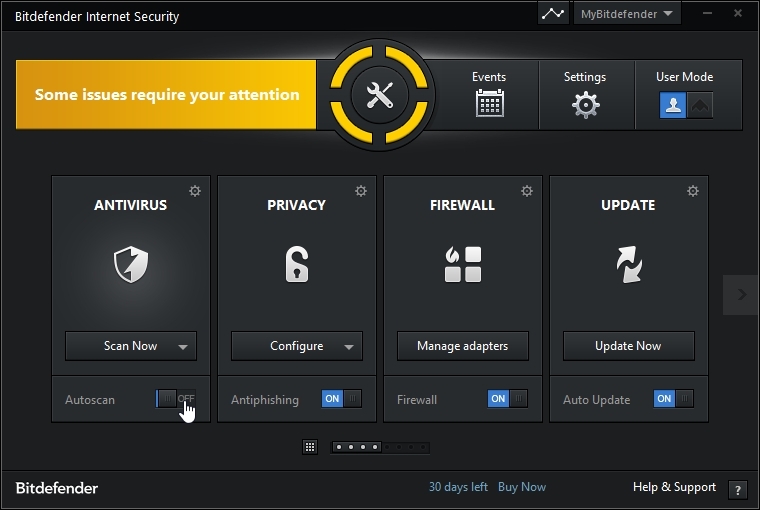 Many forms of malware are designed to infect systems by exploiting their vulnerabilities, such as missing operating system updates or outdated applications. 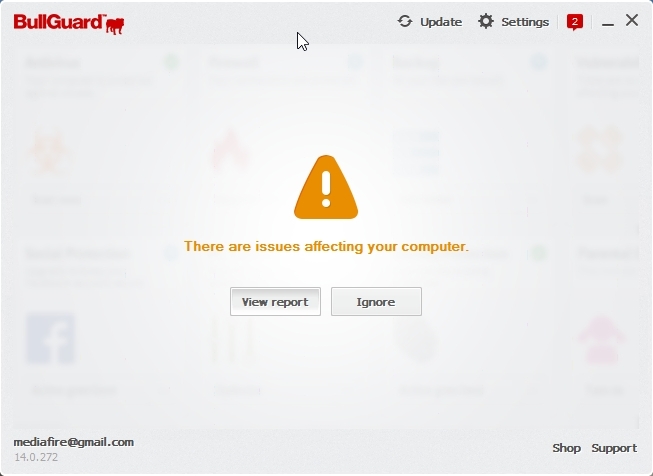 Bitdefender helps you easily identify and fix system vulnerabilities in order to make your computer more secure against malware and hackers. 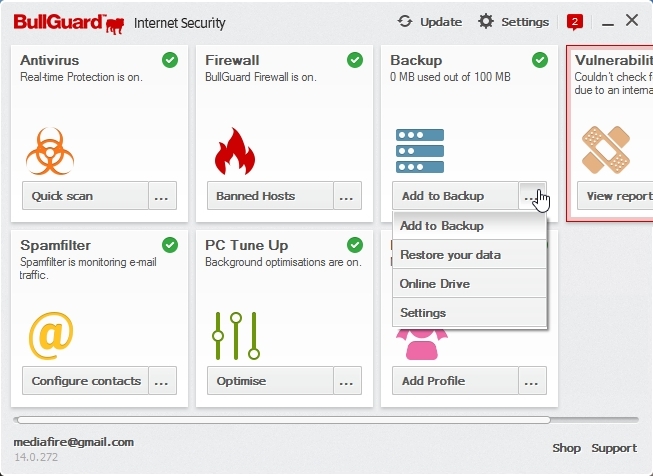 Bitdefender allows excluding specific files, folders or file extensions from scanning. 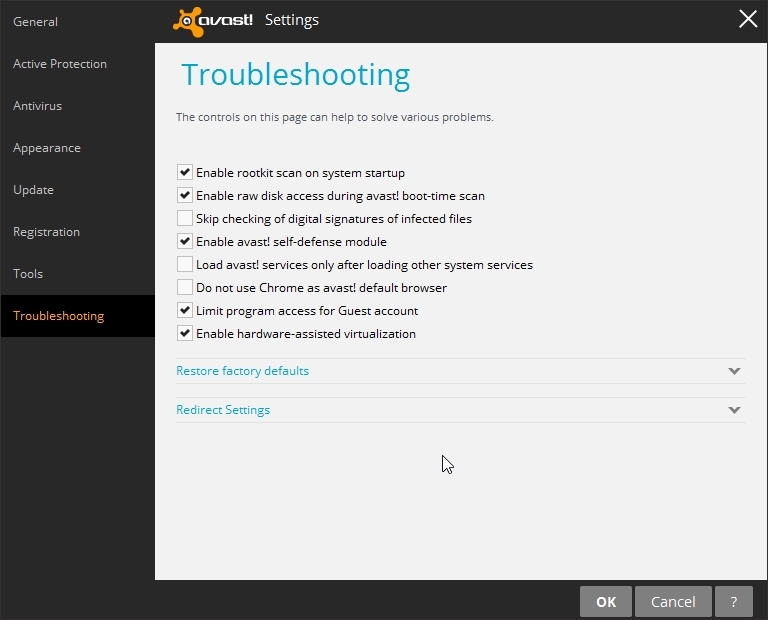 This feature is intended to avoid interference with your work and it can also help improve system performance. 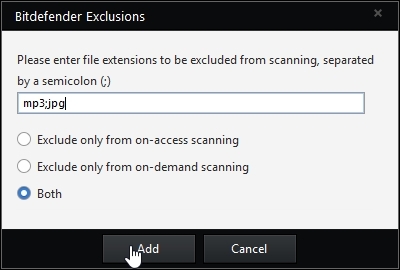 Exclusions are to be used by users having advanced computer knowledge or, otherwise, following the recommendations of a Bitdefender representative.You can configure exclusions to apply to on-access or on-demand scanning only, or to both. 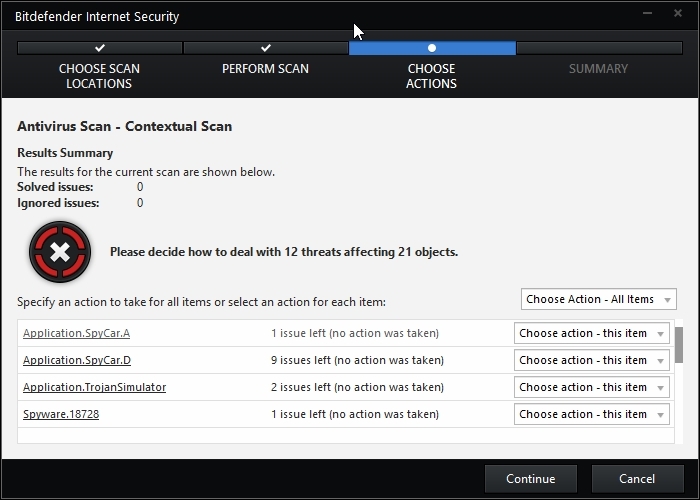 The objects excluded from on-access scanning will not be scanned, no matter if they are accessed by you or by an application. Excludes files & folders from being scanned. Click “Add” to add files/folder. 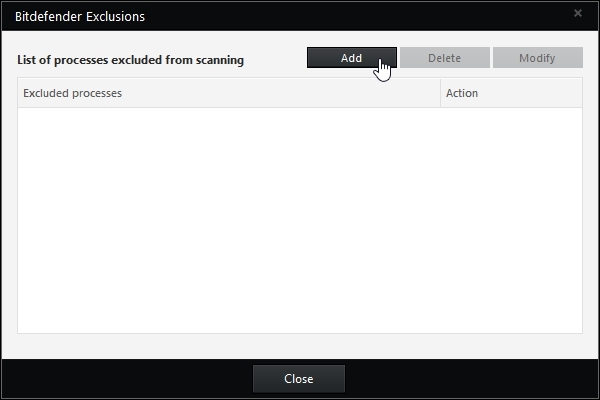 Exclude files with certain extensions from being scanned. Type in the extensions and click “add”. Excludes processes from being scanned. 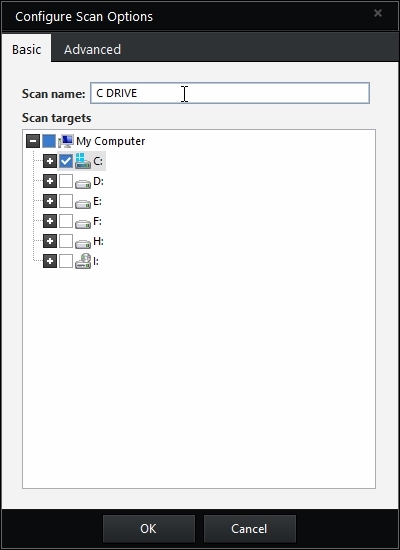 Settings for scanning CD/DVD, USB devices and network drives. 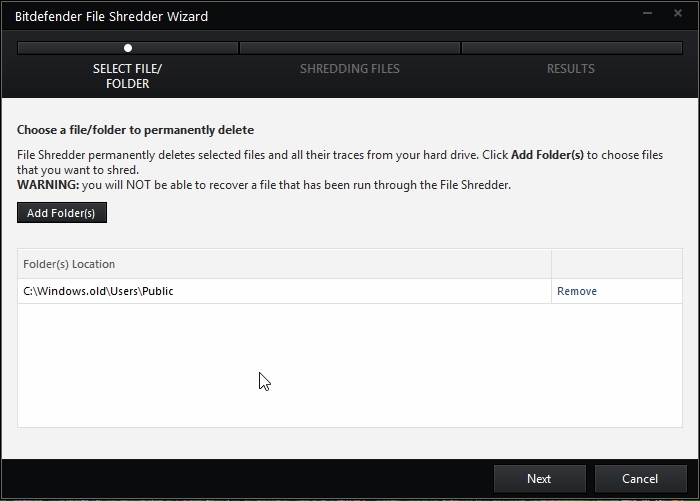 file shredder – permanently erases files and their traces from your computer. 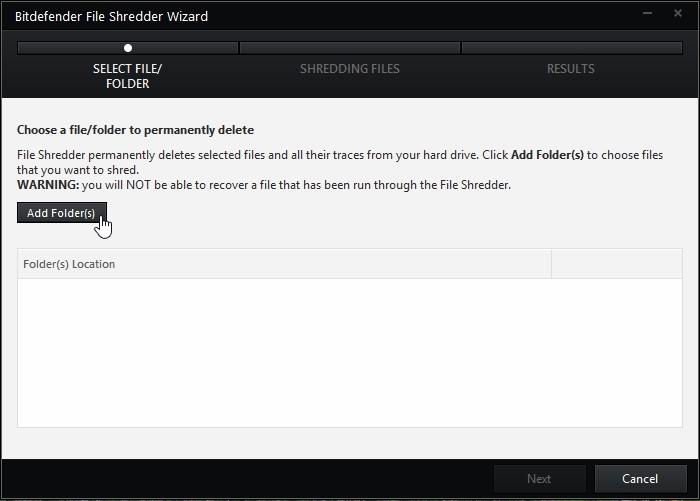 Add files & folders that you want to shred. 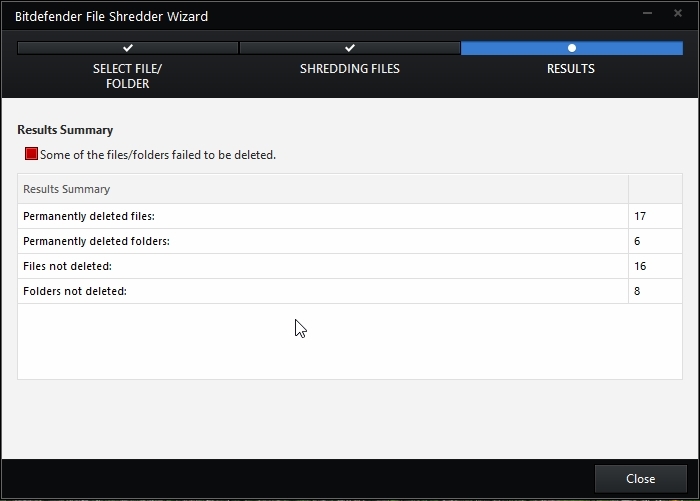 Folders and files in it deleted. The contents of your instant messages should remain between you and your chat partner. By encrypting your conversations, you can make sure anyone trying to intercept them on their way to and from your contacts will not be able to read their contents. 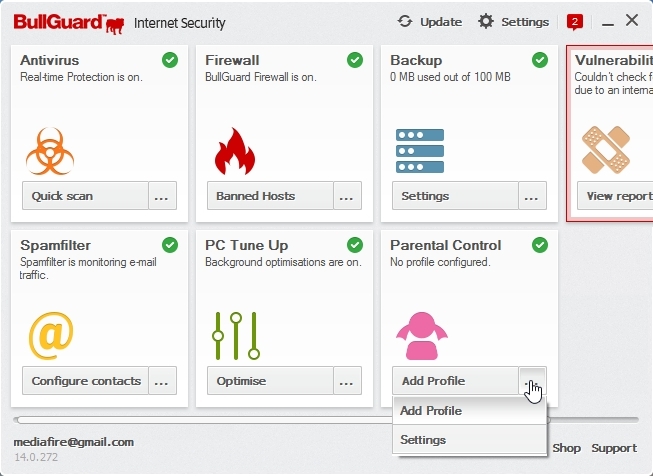 Your chat partner has a Bitdefender product installed that supports Chat Encryption and Chat Encryption is enabled for the instant messaging application used for chatting. You and your chat partner use Yahoo! Messenger. Whether it is your e-mail or your credit card number, when they fall into the wrong hands such information may cause you damage: you may find yourself drowning in spam messages or you might be surprised to access an emptied account. Based on the rules you create, Data Protection scans the web, e-mail and instant messaging traffic leaving your computer for specific character strings (for example, your credit card number). If there is a match, the respective web page, e-mail or instant message is blocked. You can create rules to protect any piece of information you might consider personal or confidential, from your phone number or e-mail address to your bank account information. Multiuser support is provided so that users logging on to different Windows user accounts can configure and use their own rules. 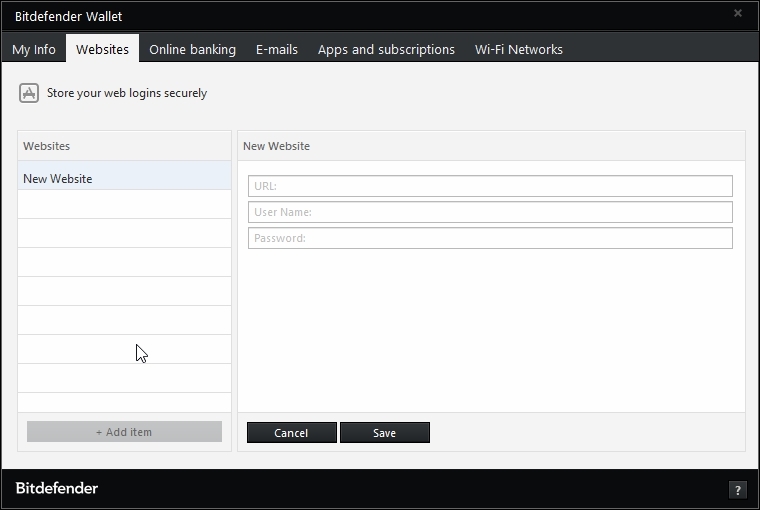 If your Windows account is an administrator account, the rules you create can be configured to also apply when other users of the computer are logged on to their Windows user accounts. 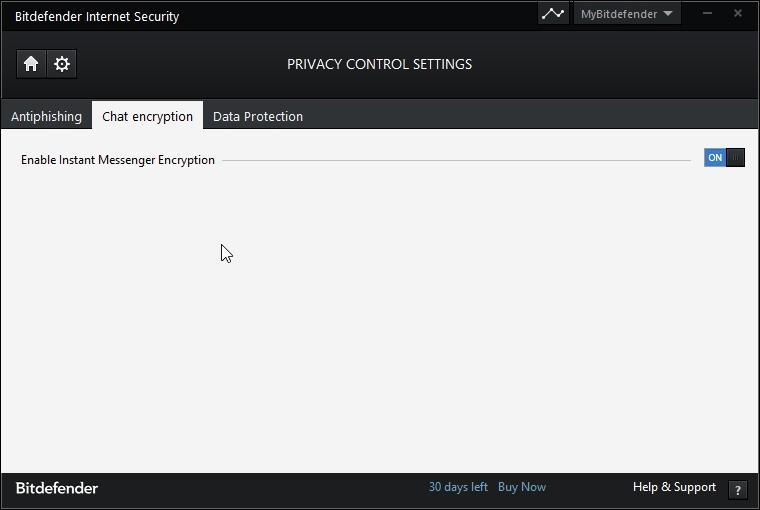 Turn ON Data Protection feature. 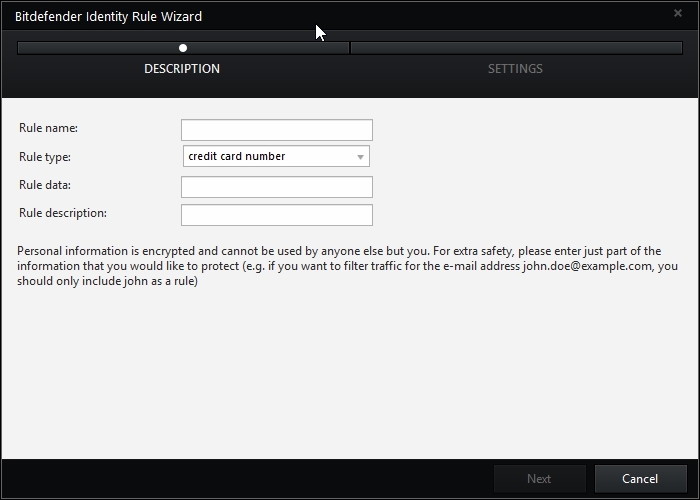 Click “Add rule” to add data that will be protected. 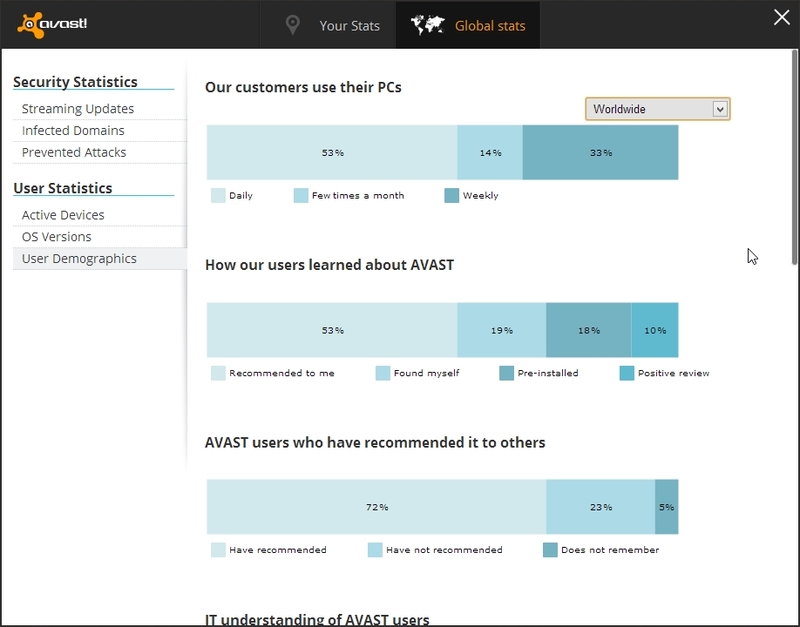 Various data types that can be added. Example showing email data being added. 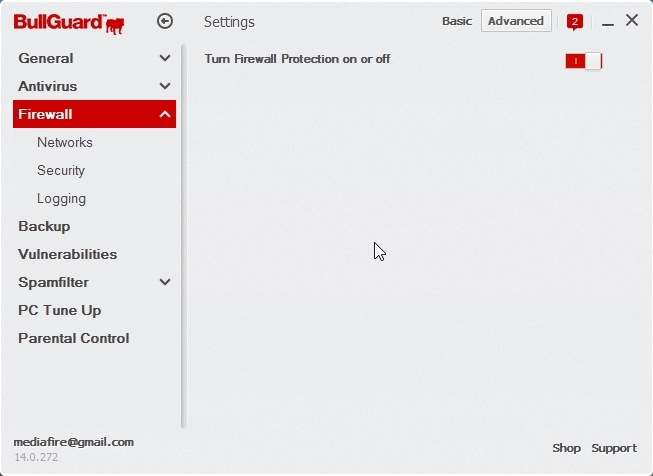 The Firewall protects your computer from inbound and outbound unauthorized connection attempts, both on local networks and on the Internet. It is quite similar to a guard at your gate – it keeps track of connection attempts and decides which to allow and which to block. 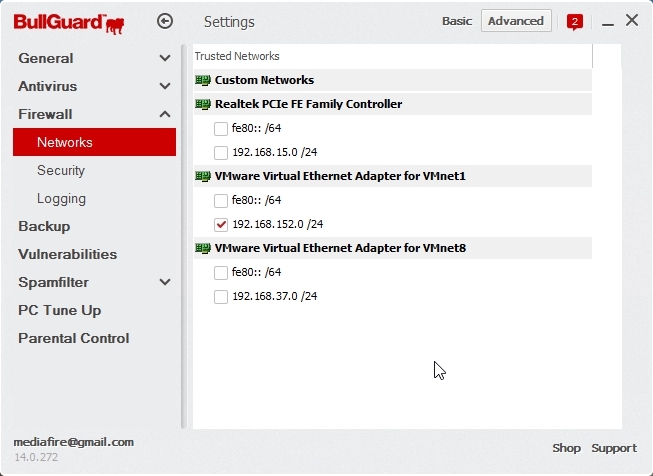 Click manage adapter to see network activity and do adapter setting. Network Type – the type of network your computer is connected to. 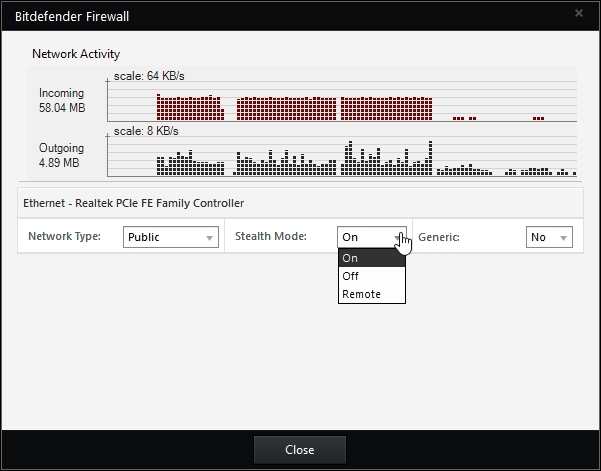 Bitdefender applies a basic set of firewall settings depending on the type of network you are connected to. You can change the type by opening the Network Type drop-down menu and selecting one of the available types from the list. 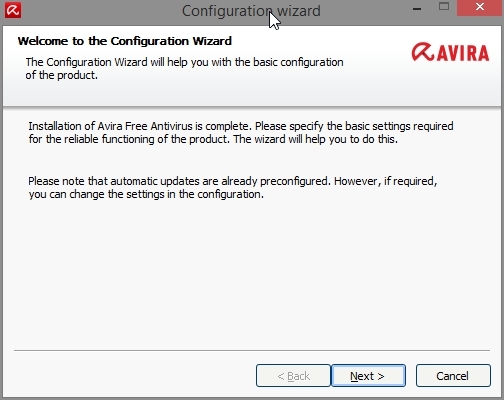 Trusted Disable the firewall for the respective adapter. Home/Office Allow all traffic between your computer and computers in the local network. Public All traffic is filtered. Untrusted Completely block network and Internet traffic through the respective adapter. 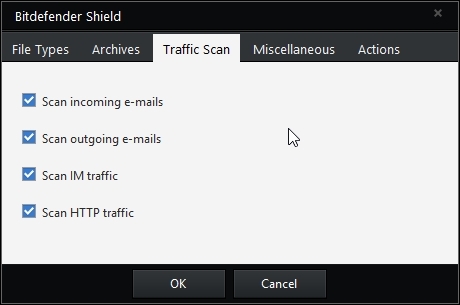 Stealth Mode – whether you can be detected by other computers. 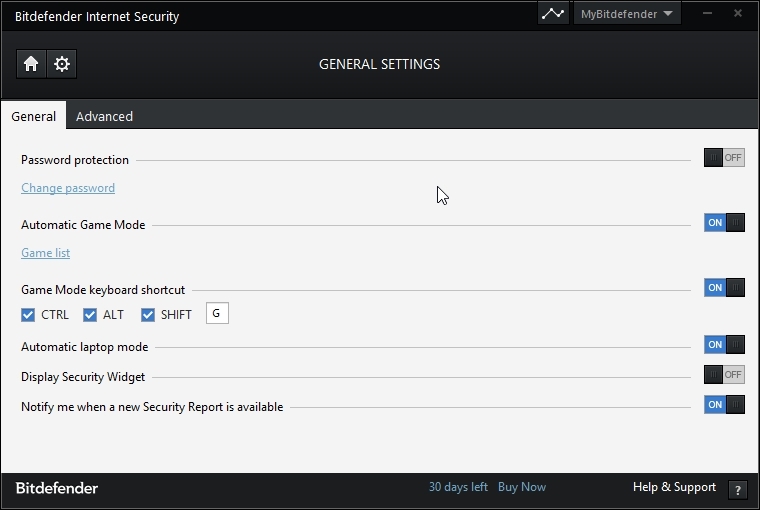 To configure the Stealth Mode, select the desired option from the corresponding drop-down menu. On Stealth Mode is on. Your computer is invisible from both the local network and the Internet. Off Stealth Mode is off. 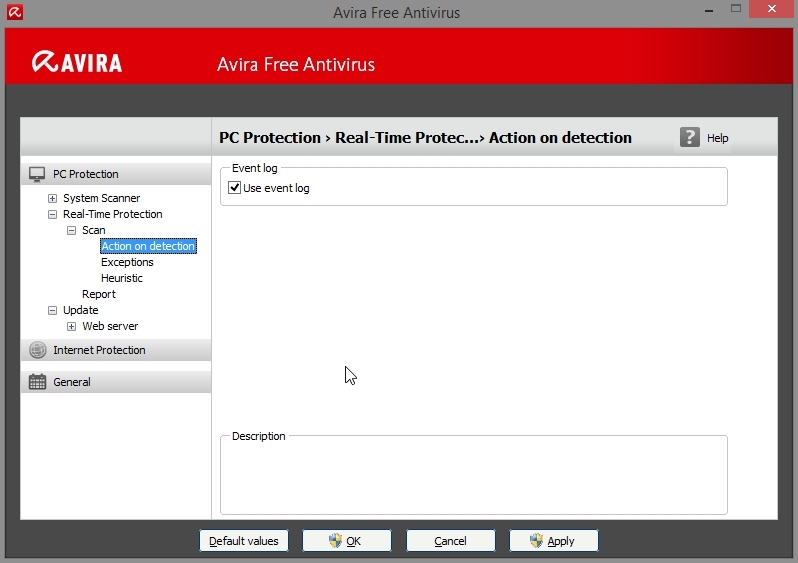 Anyone from the local network or the Internet can ping and detect your computer. 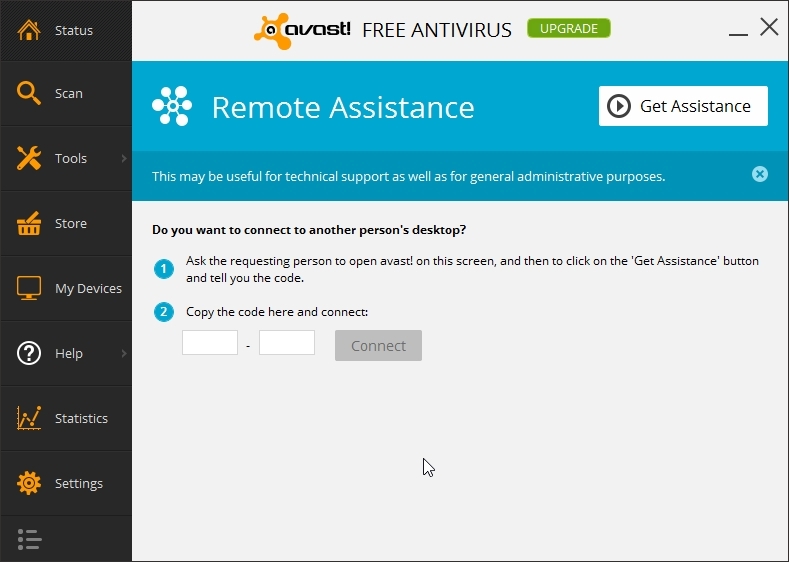 Remote Your computer cannot be detected from the Internet. 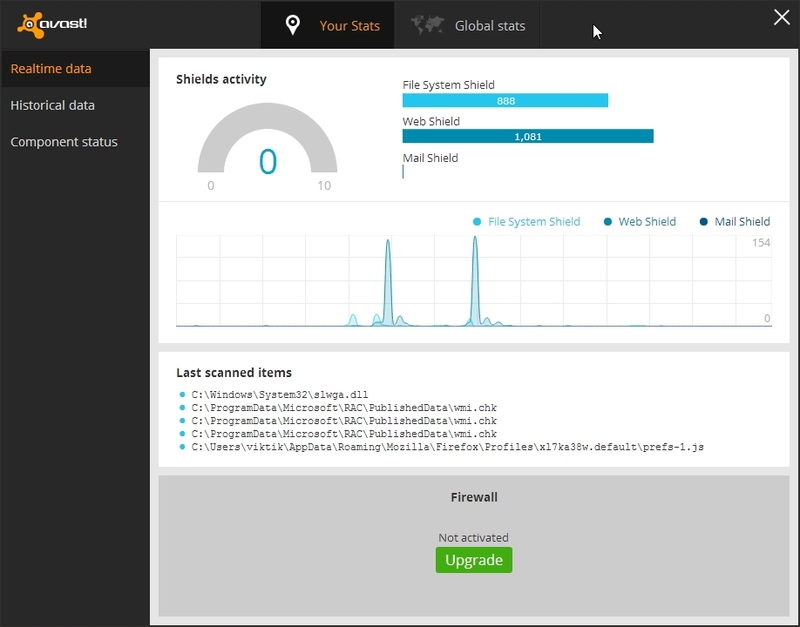 Local network users can ping and detect your computer. 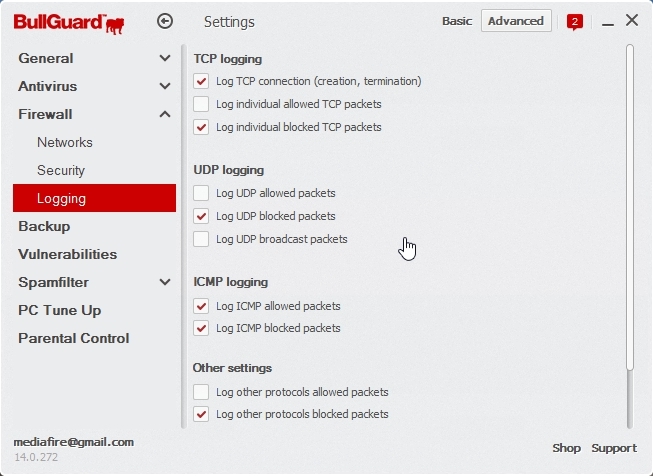 Generic – whether generic rules are applied to this connection.If the IP address of a network adapter is changed, Bitdefender modifies the network type accordingly. 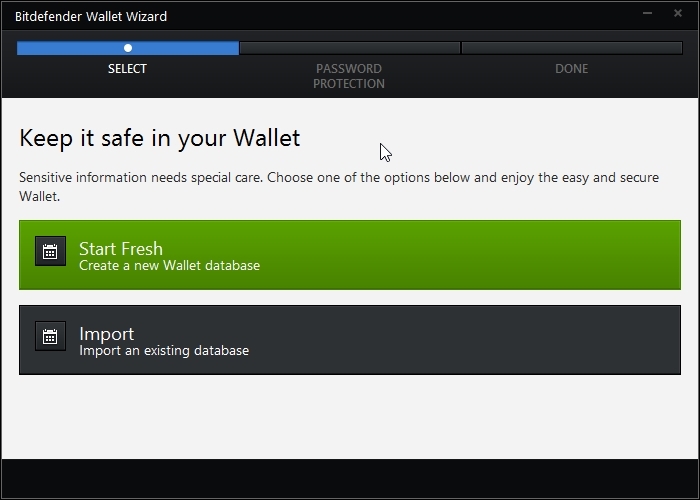 If you want to keep the same type, select Yes from the corresponding drop-down menu. Rules that determine the protocols over which communication is allowed. 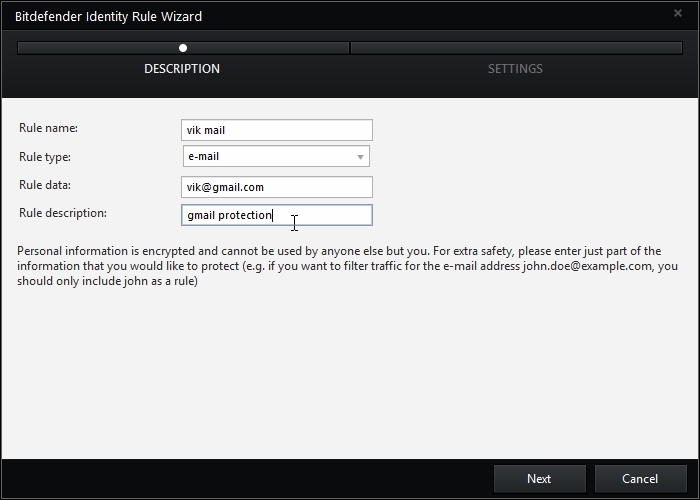 A default set of rules that provides an optimal protection is used. 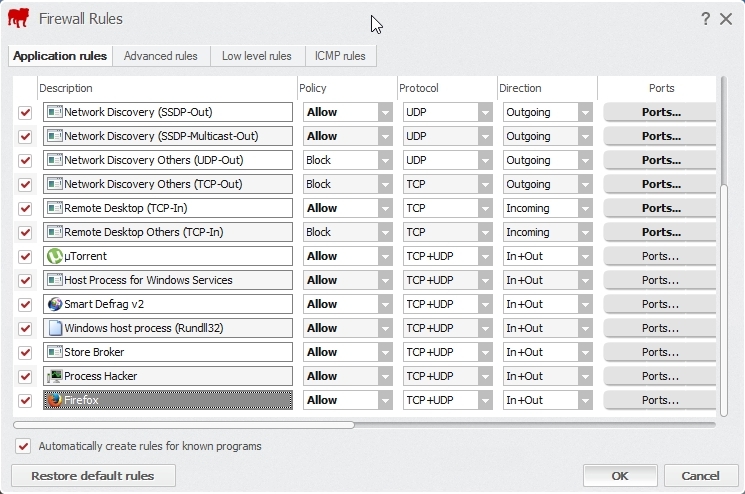 You can edit the rules by allowing or denying connections over certain protocols. 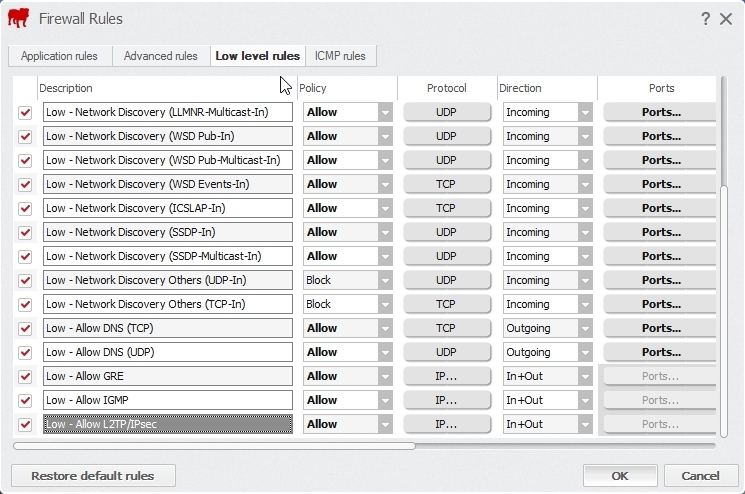 Rules that determine how each application can access network resources and the Internet. 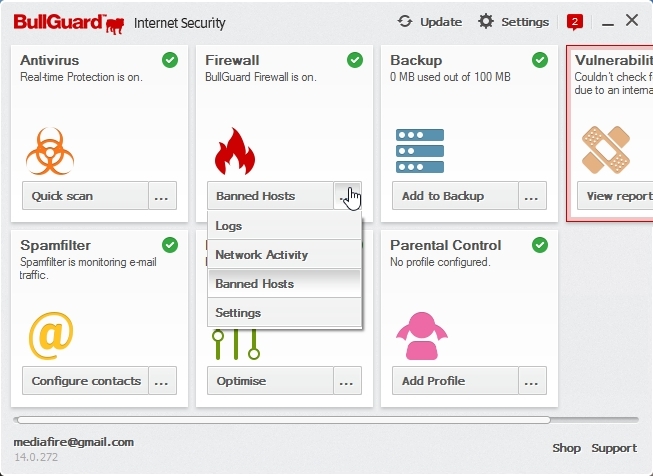 Under normal conditions, Bitdefender automatically creates a rule whenever an application tries to access the Internet. 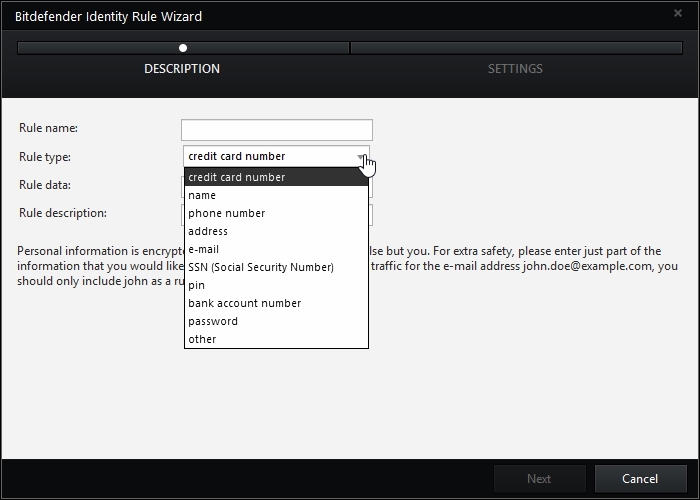 You can also manually add or edit rules for applications. 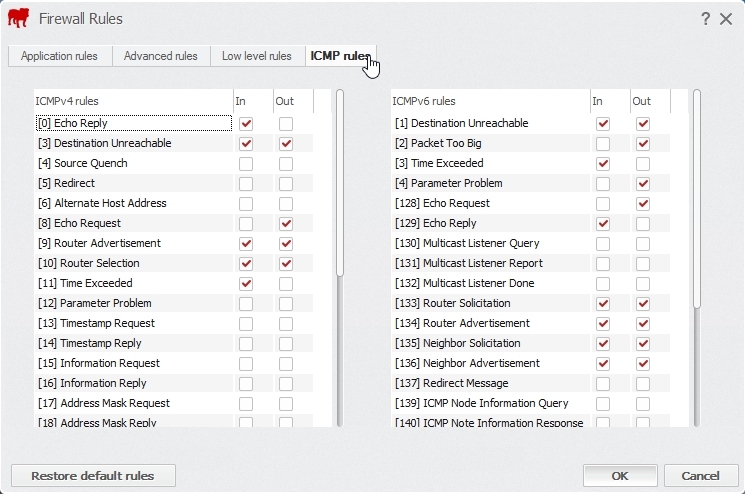 Rules that determine whether your computer can communicate with other computers connected to the same network. 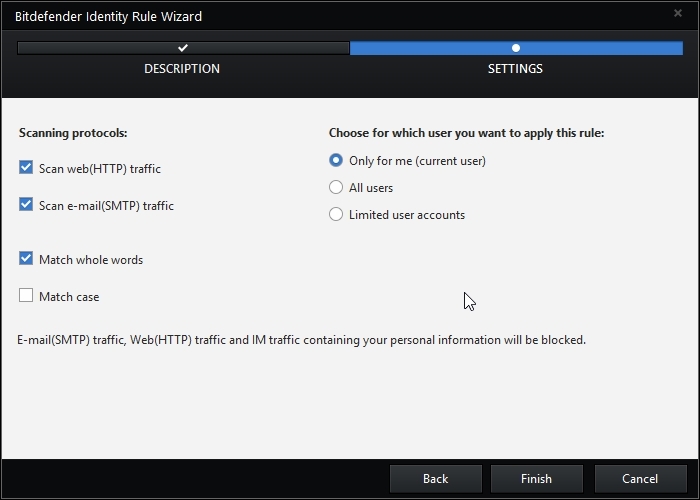 You must create rules to specifically allow or deny traffic between your computer and other computers. Additional protection is provided by the Intrusion Detection System (IDS). IDS monitors the network and system activities for malicious activities or policy violations. 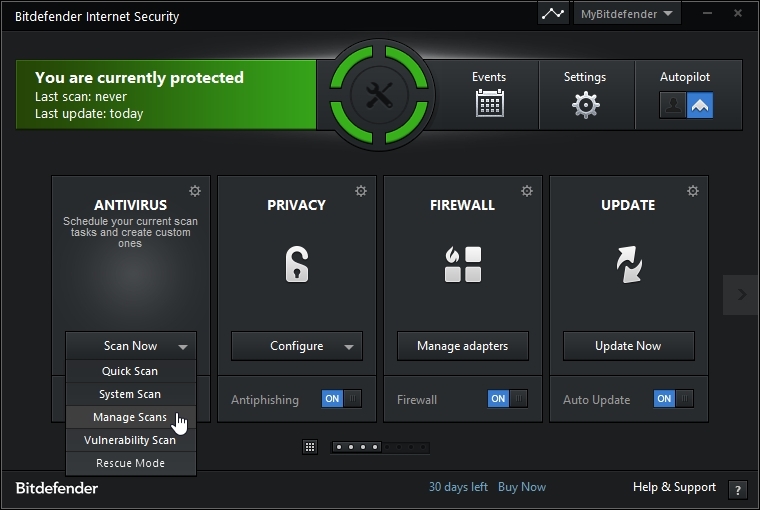 It can detect and block attempts to change critical system files, Bitdefender files or registry entries, the installation of malware drivers and attacks performed by code injection (DLL injection). 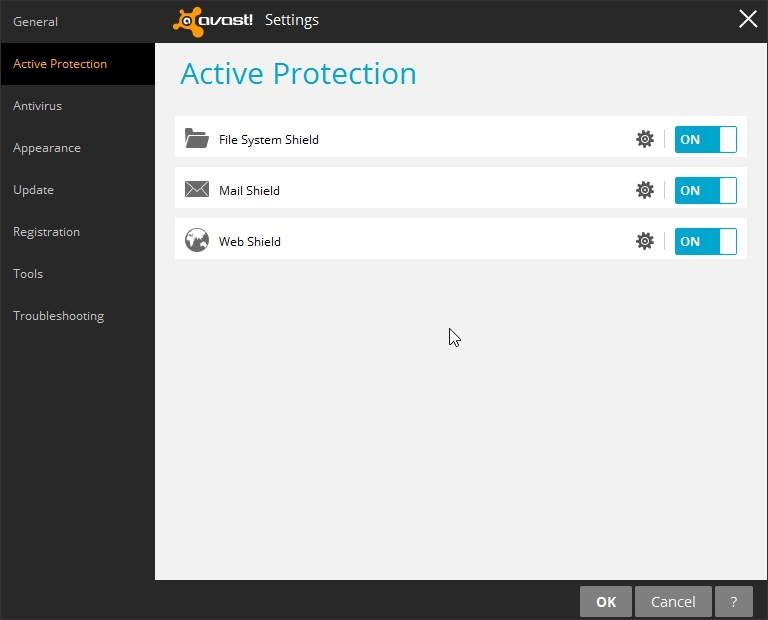 You may set it to “normal” to increase the level of protection. 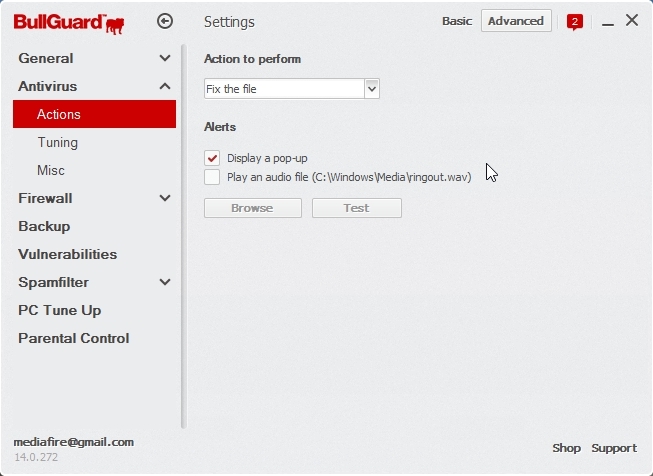 Internet connection sharing – enables support for Internet connection sharing. Block port scans – detects and blocks attempts to find out which ports are open.Port scans are frequently used by hackers to find out which ports are open on your computer. They might then break into your computer if they find a less secure or vulnerable port. 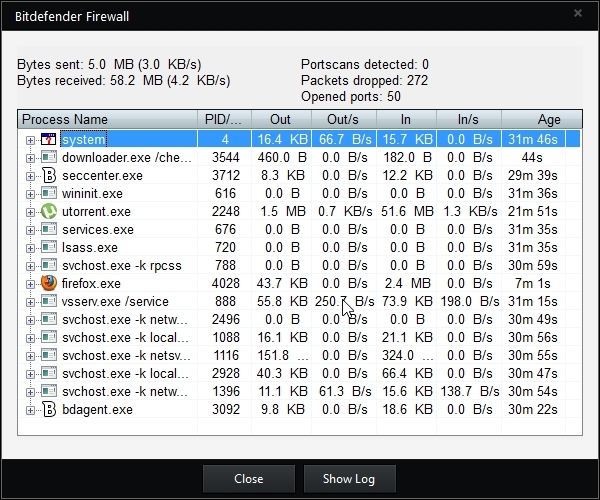 Increase log verbosity – increases the verbosity of the Firewall log.Bitdefender maintains a log of events regarding the Firewall module usage (enabling/disabling firewall, traffic blocking, modifying settings) or generated by the activities detected by this module (scanning ports, blocking connection attempts or traffic according to the rules). 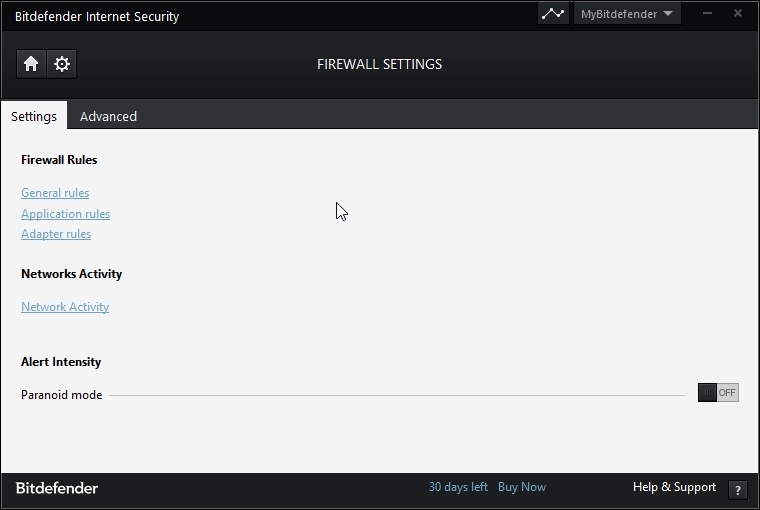 The log can be accessed from the Firewall Activity window by clicking Show Log. 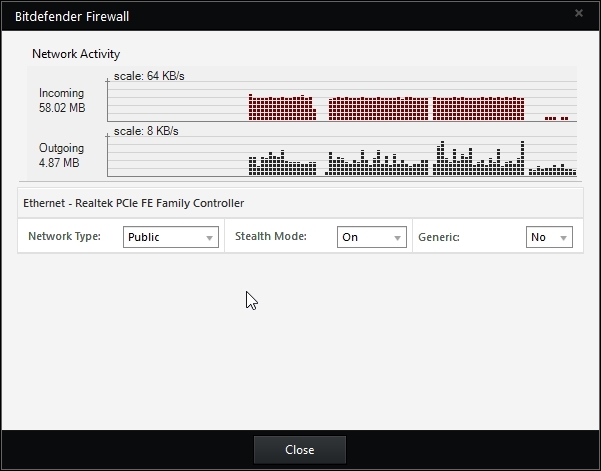 Monitor Wi-Fi connections – when you are connected to wireless networks, information is displayed regarding specific network events (for example, when a new computer has joined the network). 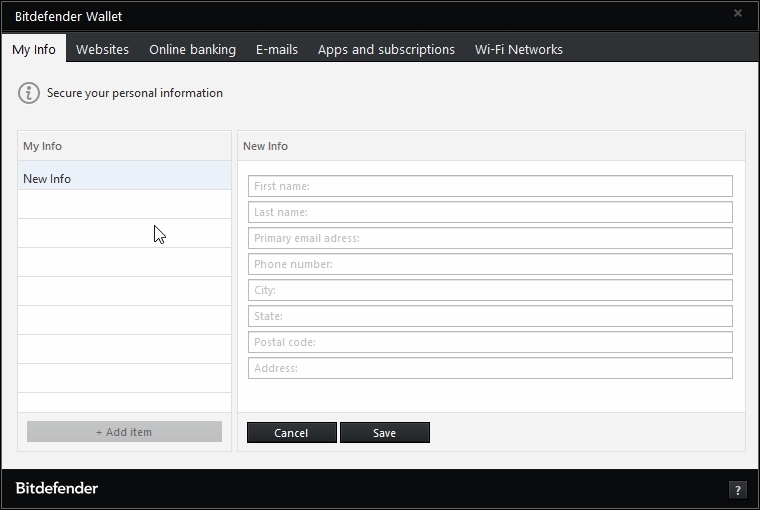 Manage friends lets you add email address of your friends which will not be blocked. 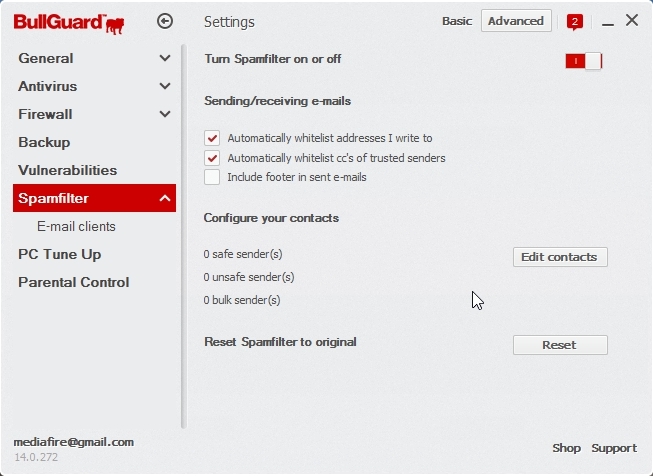 Manage spammers lets you add email address of those which you want to block. 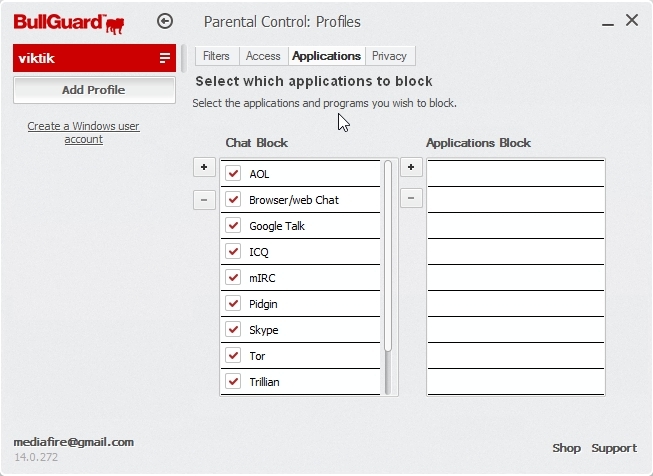 PARENTAL CONTROLParental Control enables you to control the access to the Internet and to specific applications for each user holding a user account on the system. 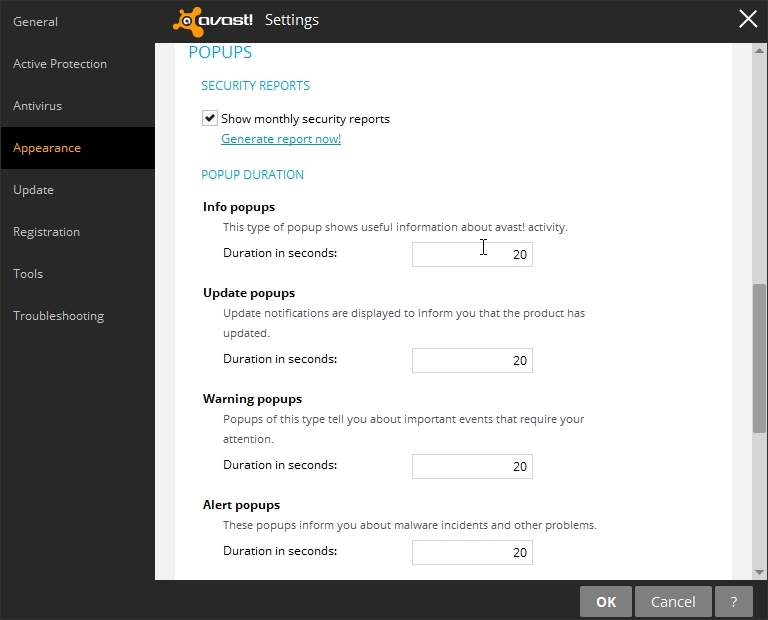 Once you have configured Parental Control, you can easily find out what your child is doing on the computer. All you need is a computer with Internet access and a web browser. Internet access, for specific periods of time (such as when it’s time for lessons). applications like games, chat, filesharing programs or others. instant messages sent by IM contacts other than those allowed. Check your children’s activities and change the Parental Control settings using MyBitdefender from any computer or mobile device connected to the Internet. 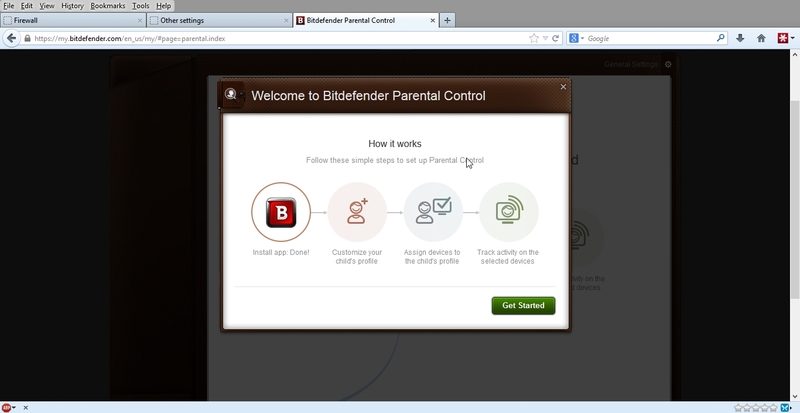 Parental control is done through web browser. 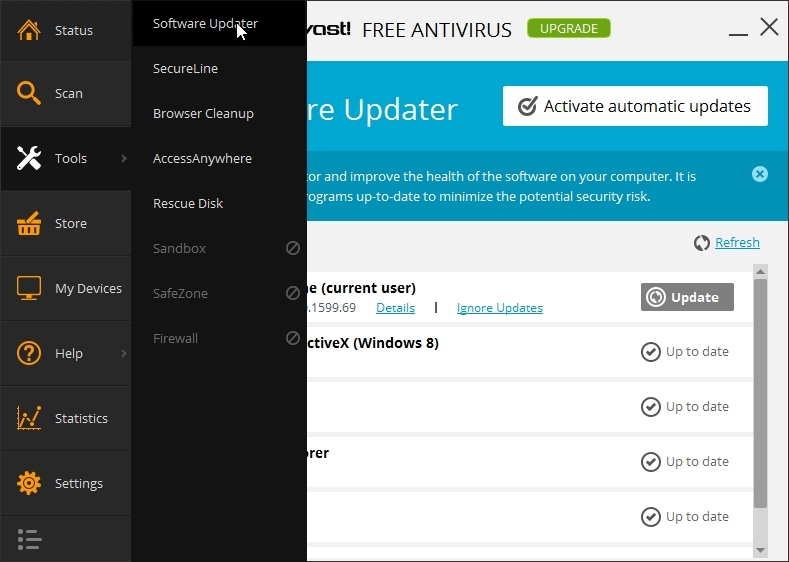 Here all the computers with bitdefender installed are shown. 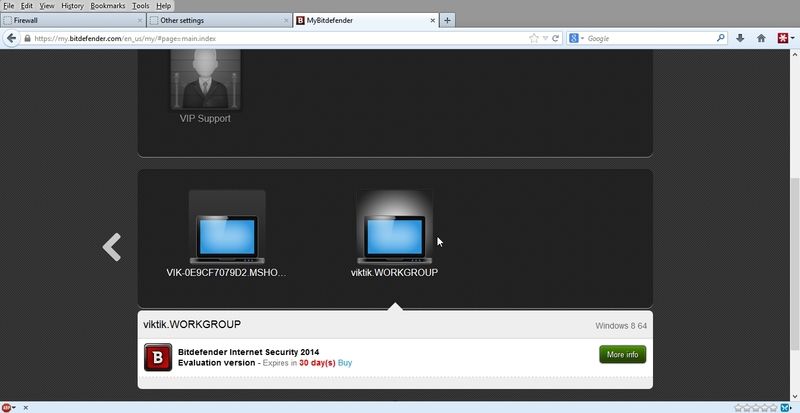 As shown below vik.WORKGROUP has bitdefender internet security 2014 installed. 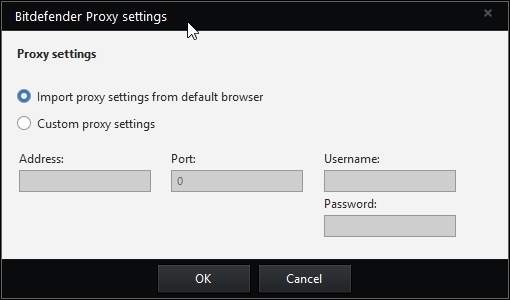 Click on parental control to create a profile. 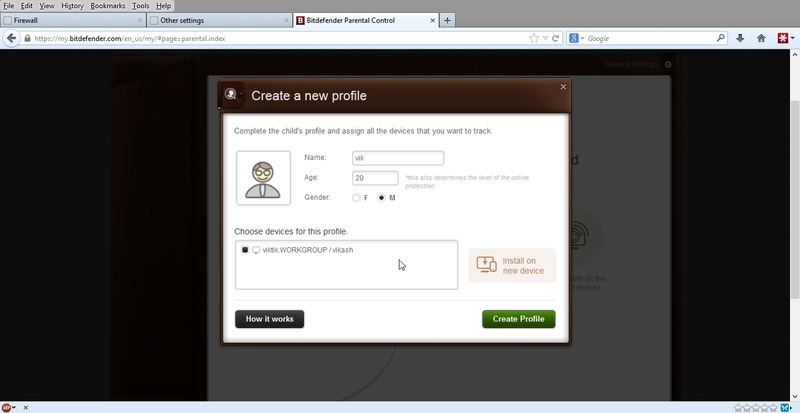 Enter name, age, gender and choose the device for this profile. 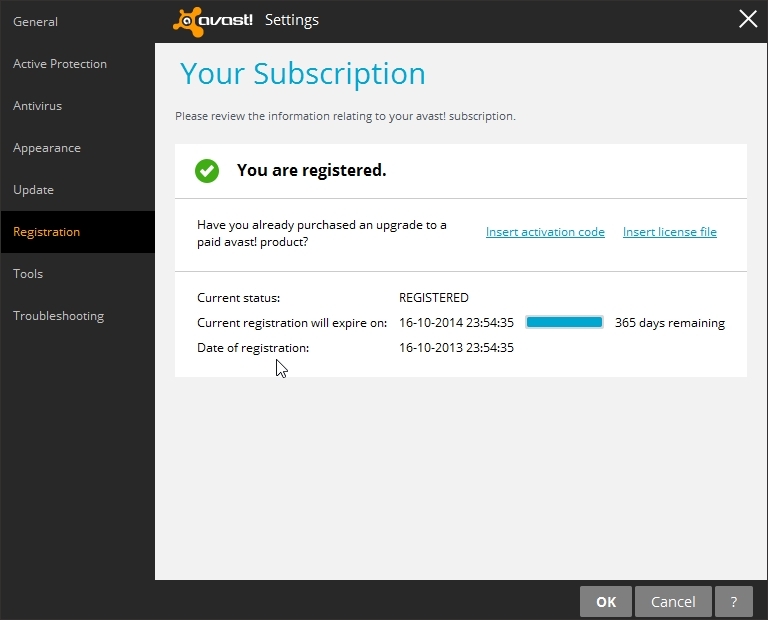 The Parental Control dashboard is where you can directly manage the Parental Control modules. 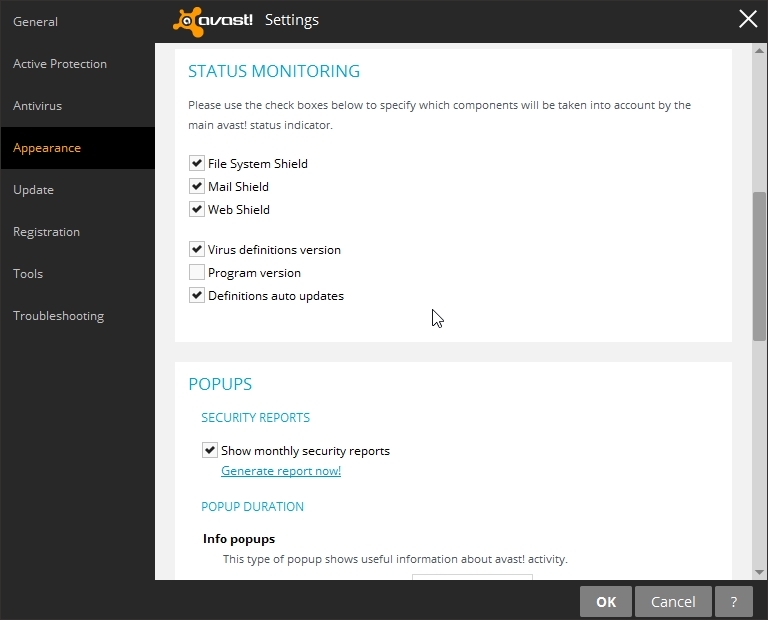 Each module contains the following elements: the name of the module, a status message, the icon of the module and a button that lets you perform important tasks related to the module. Web – to filter web navigation and set time restrictions on Internet access. Applications – to block or restrict access to specific applications. Facebook – to protect your child’s Facebook account. 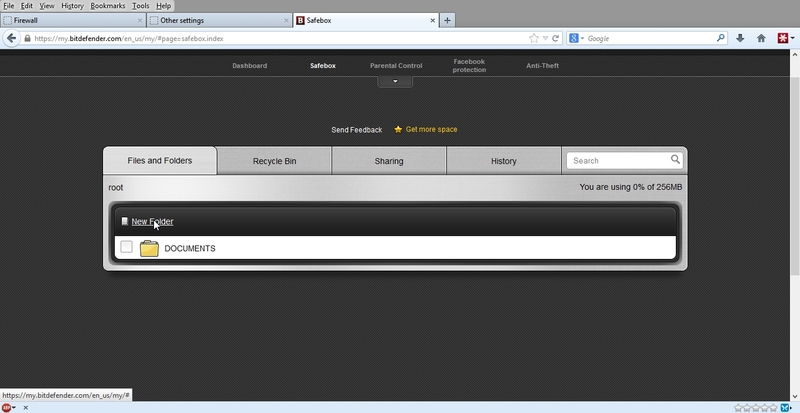 Instant Messaging – to allow or block chat with specific instant messaging contacts. Location – to find the current location of your child’s device on Google Maps. SMS – to block incoming text messages from a phone number. Calls – to block calls from a phone number, both incoming and outgoing. 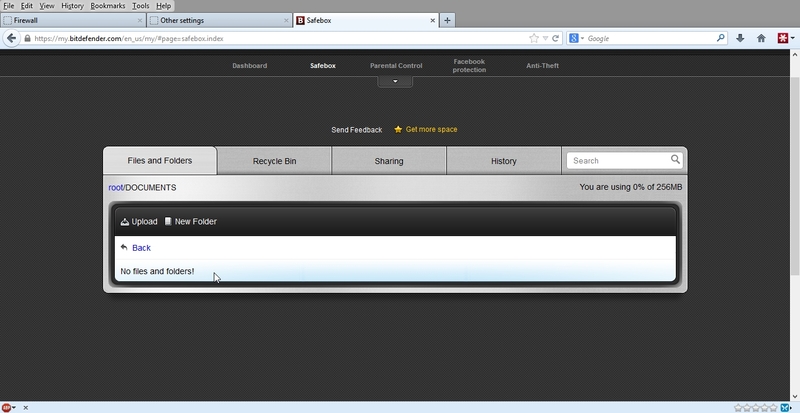 Safebox to save important files online. We use our computers to shop online or pay our bills, to connect to social media platforms or log in with instant messaging applications. But as everybody knows, it’s not always easy to remember the password! And if we are not careful while browsing online, our private information, such as our e-mail address, our instant messaging ID or our credit card data can be compromised. To keep your passwords or your personal data on a sheet of paper or in the computer can be dangerous because they can be accessed and used by people who want to steal and use that information. 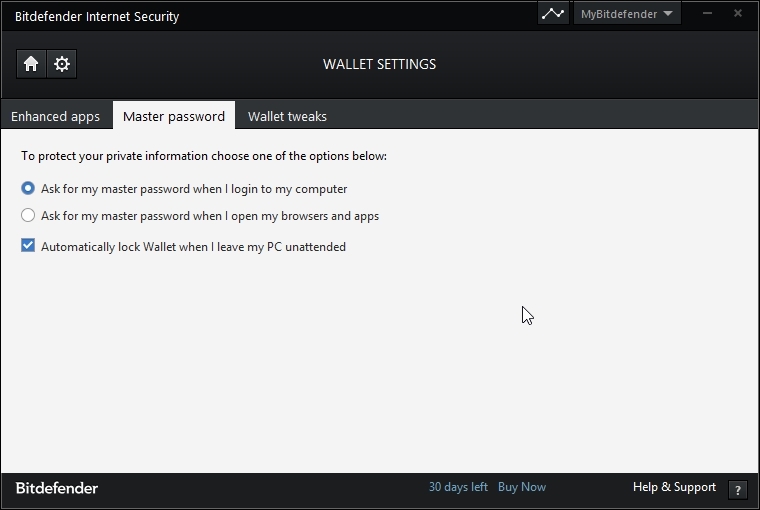 And to remember each password you have set for your online accounts or for your favorite websites is not an easy task. Therefore, is there a way to make sure that we find our passwords when we need them? And can we rest assured that our secret passwords are always safe? 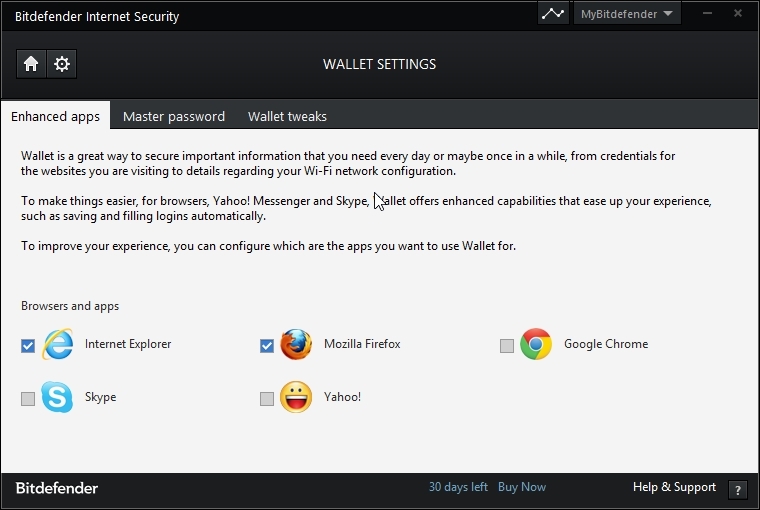 Wallet is the password manager that helps you keep track of your passwords, protects your privacy and provides a secure browsing experience. 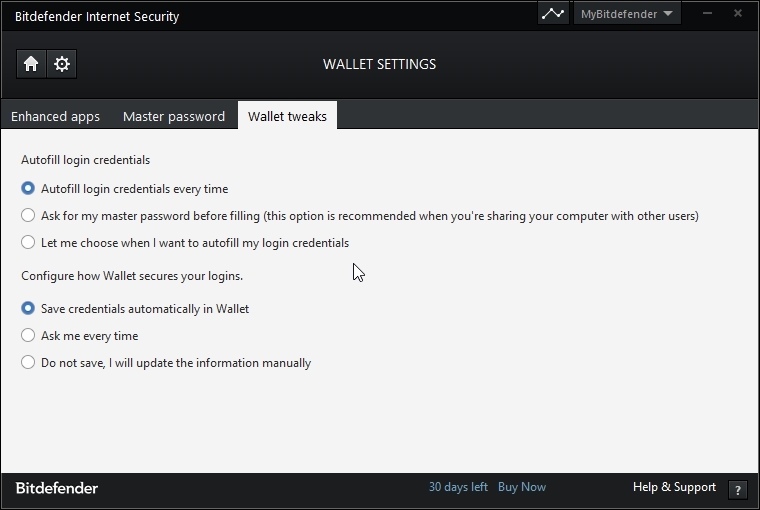 Using a single master password to access your credentials, Wallet makes it easy for you to keep your passwords safe. To offer the best protection for your online activities, Wallet is integrated with Bitdefender Safepay and provides a unified solution for the various ways in which your private data can be compromised. Input a long master password.